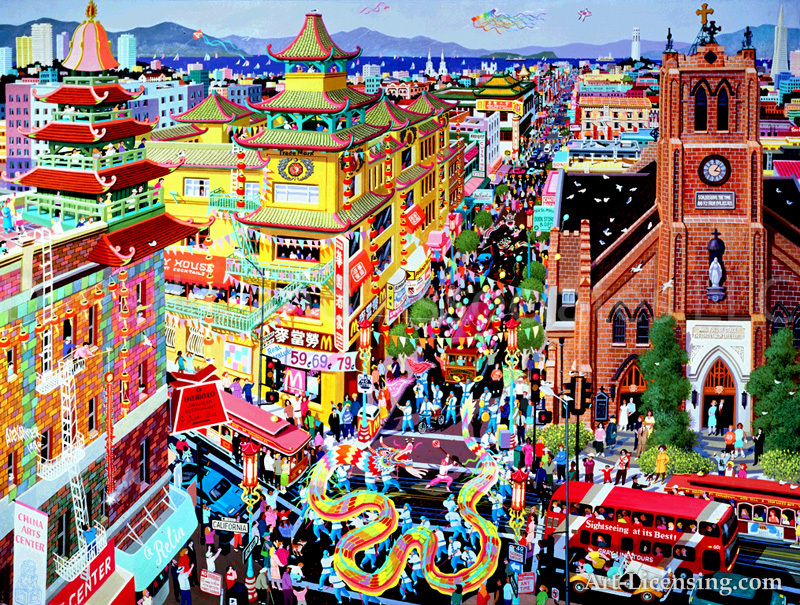 Alexander Chen, an ordinary man with an extraordinary vision and talent, was born in Canton, China in 1952. 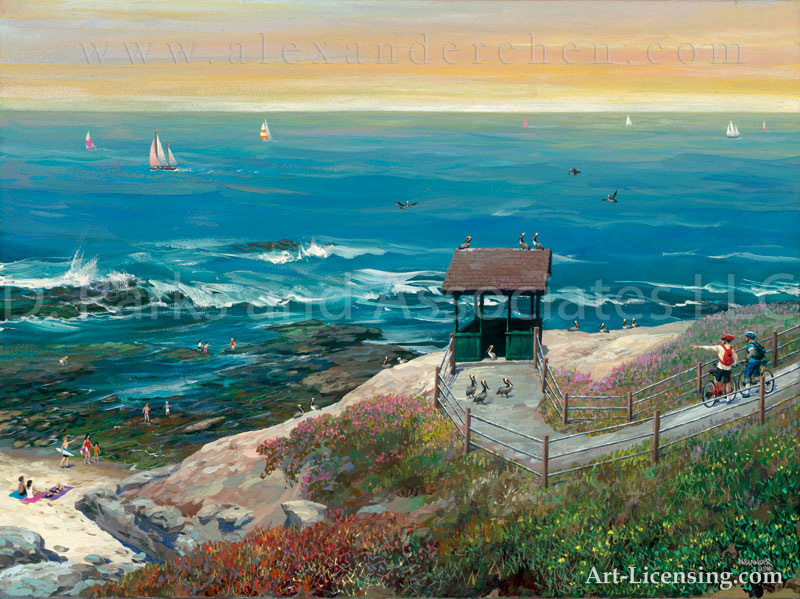 Alexander began drawing as a child, developing his craft as he moved through the many changes that shaped his life. 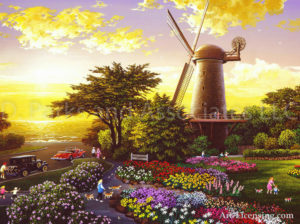 At age 16, he moved to the countryside where, for the next four years, he worked as a farmer. 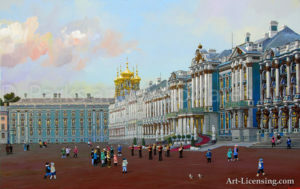 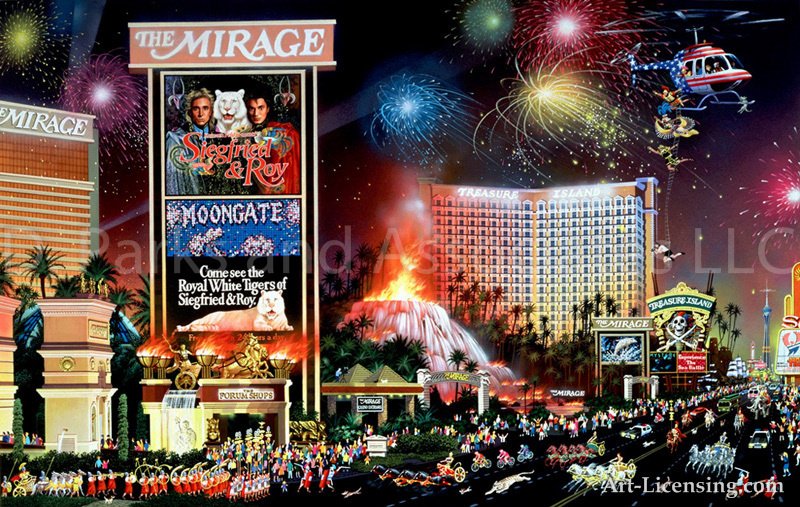 All the while Alexander recorded in his artwork, the world as it envolved before him. 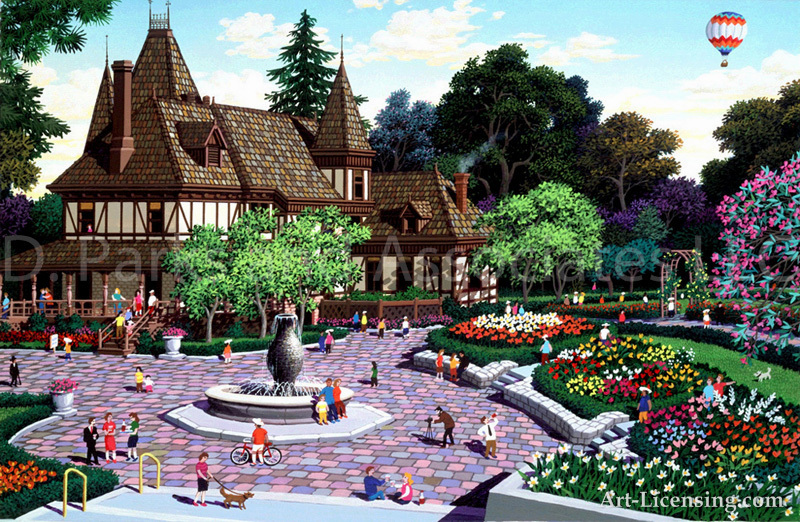 After leaving the farm he worked for an on-the-road theater for six years, painting stage backgrounds. At age 26, Alexander found himself once again in the city of Canton, but this time he was a student in art school where he continued his studies. 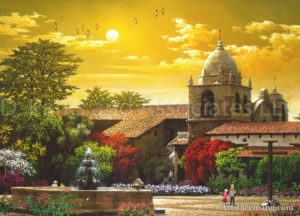 While in school, he met a fellow student who would later become his wife. 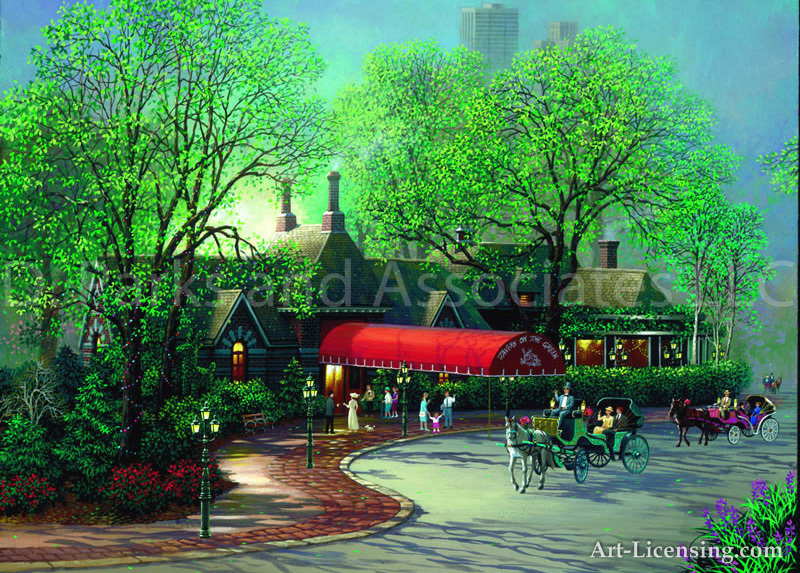 Much had changed for this city-born artist, who for so many years lived as a country bumpkin. 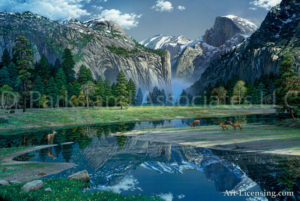 Alexander’s appreciation for both worlds gave him broader visual and emotional dimensions that he translates into his paintings — the heart and soul of city life — as well as the beautiful countryside and magnificent mountains that make evident the creator’s genius. 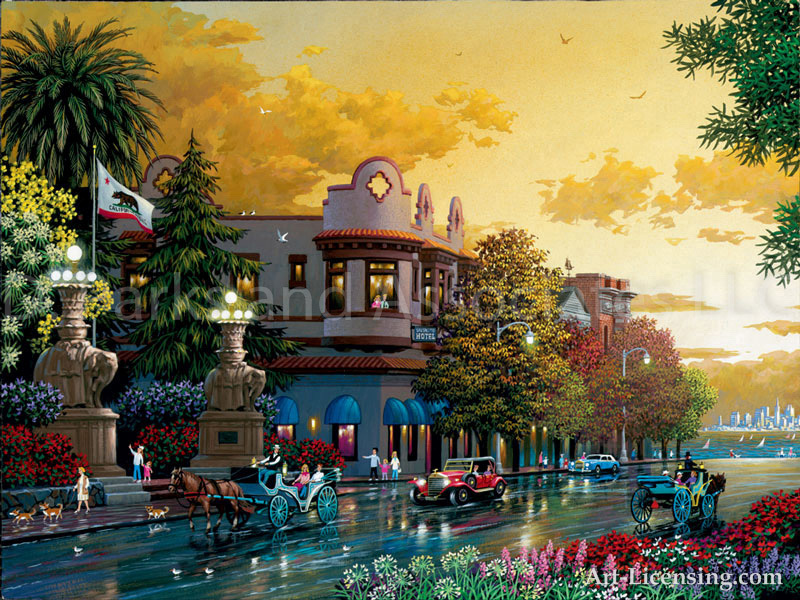 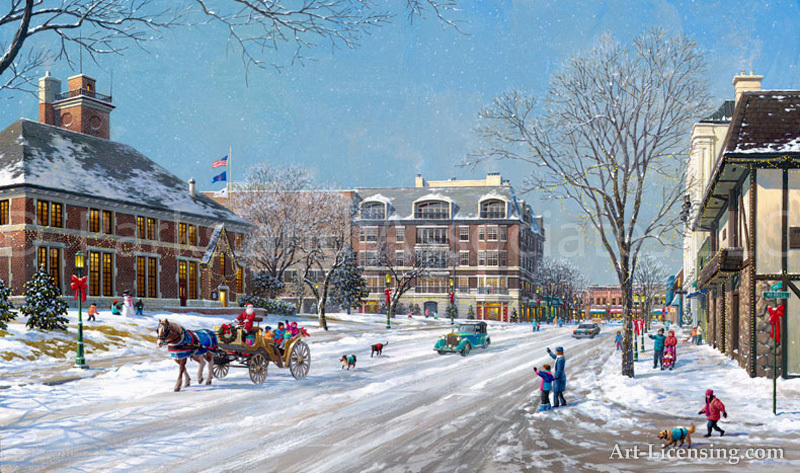 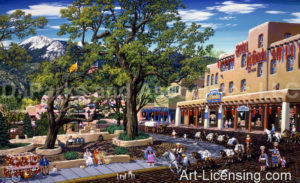 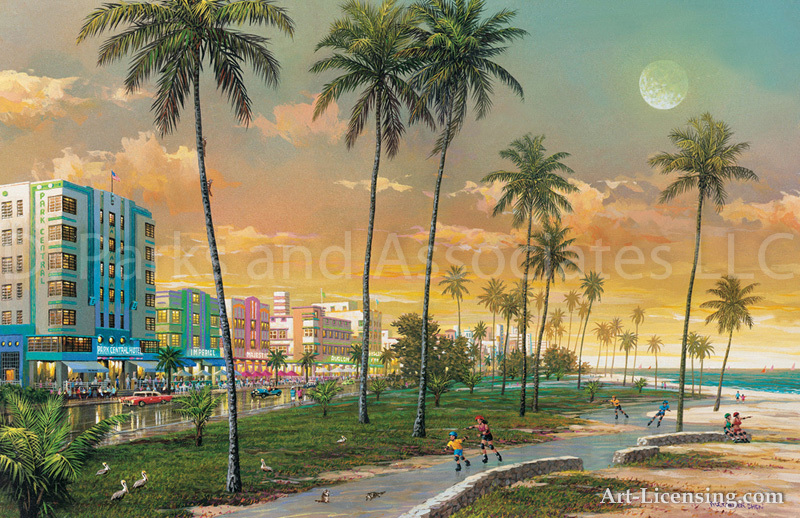 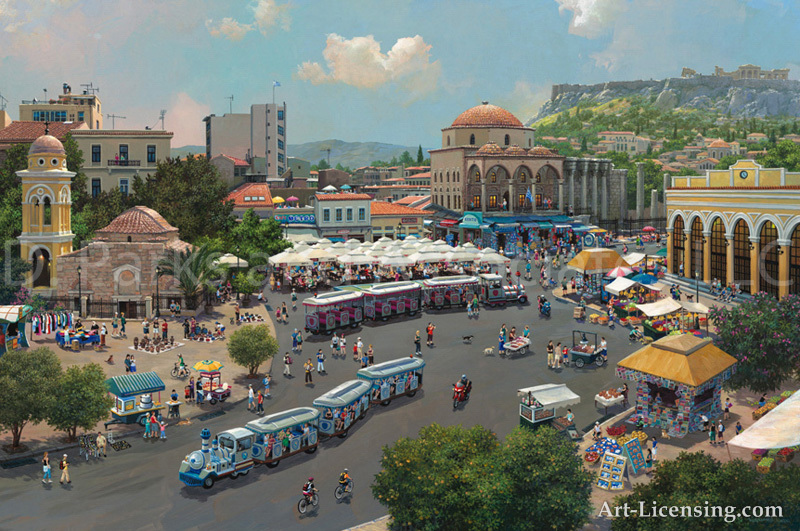 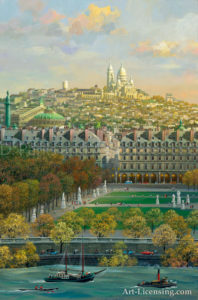 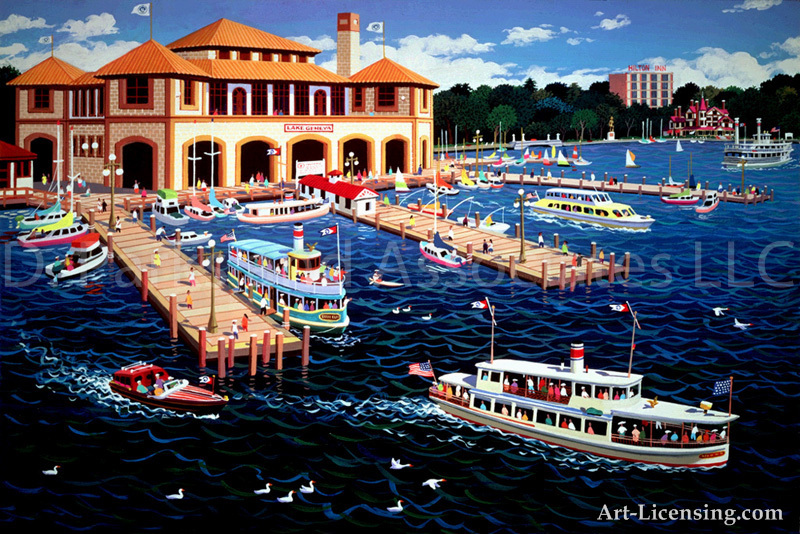 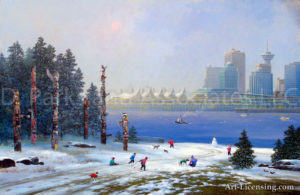 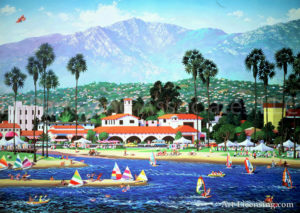 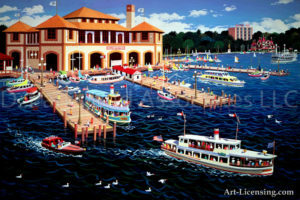 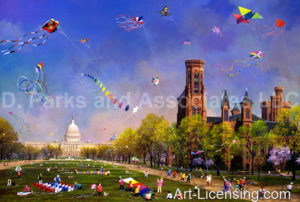 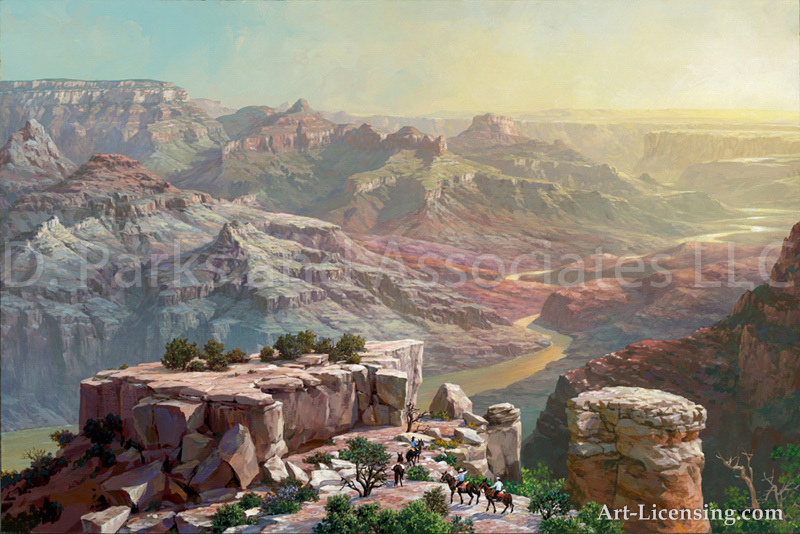 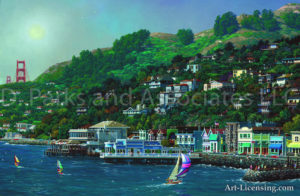 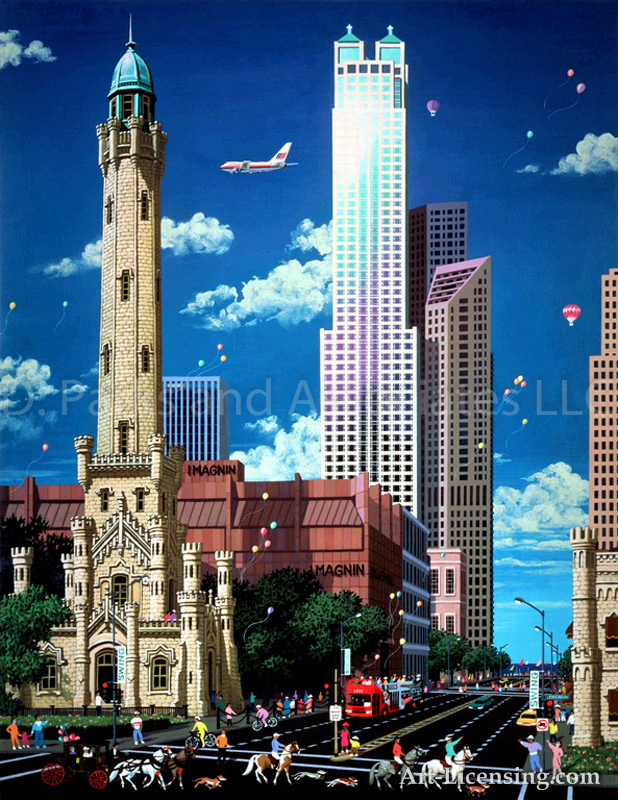 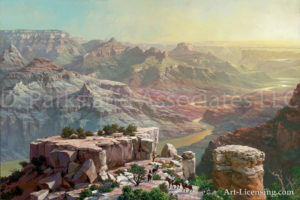 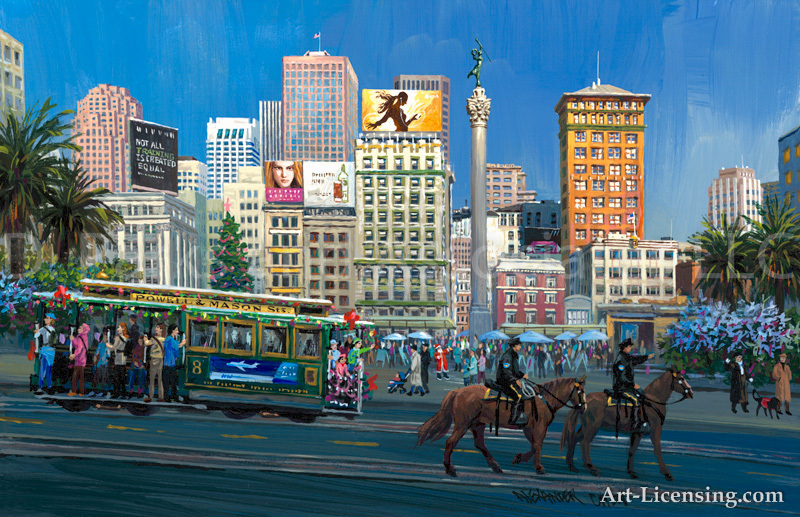 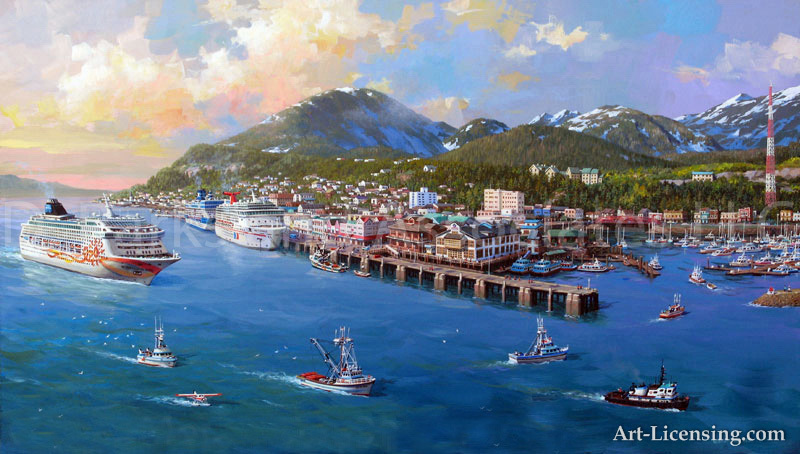 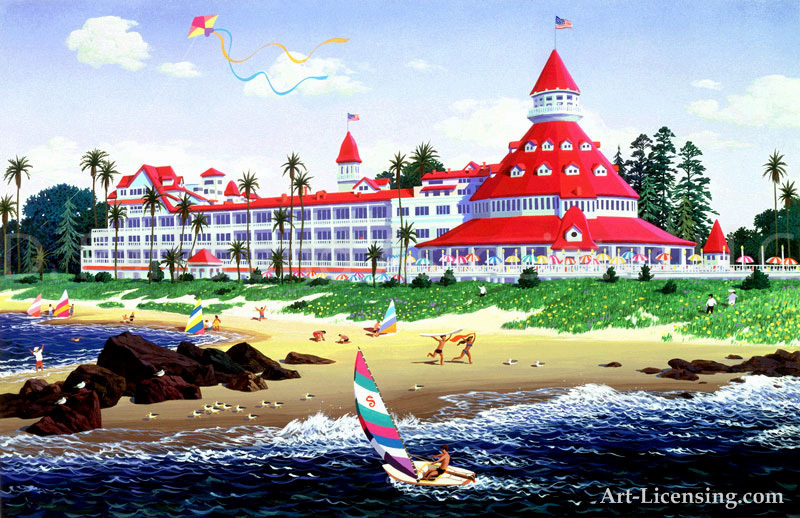 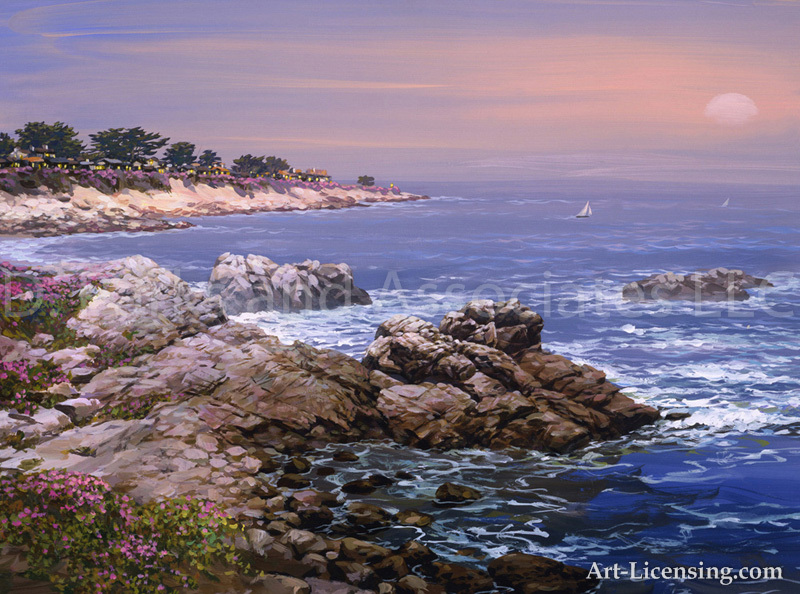 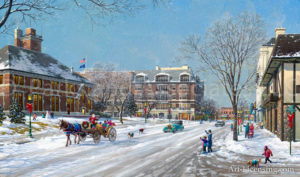 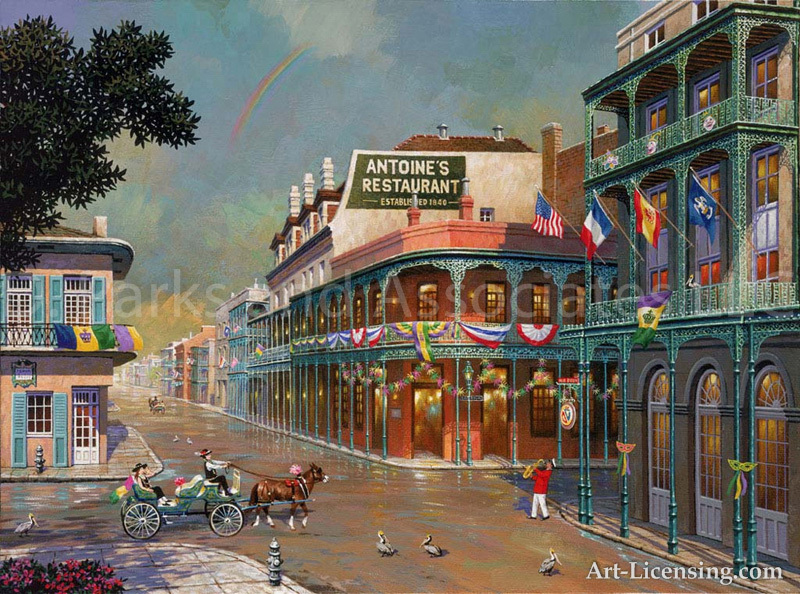 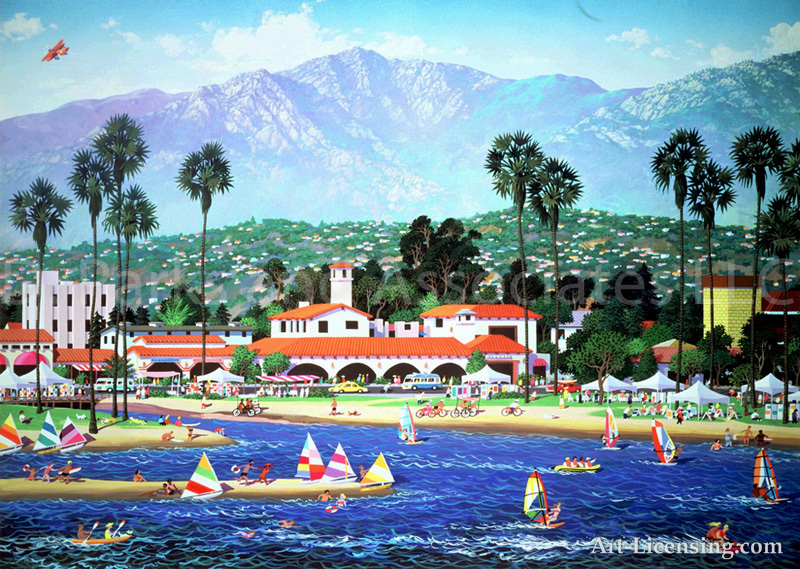 In 1989 Alexander and his wife immigrated to America where he quickly translated his love for the United States into paintings that reflected a deep appreciation for our bustling cities, our beautiful countryside, and our national parks. 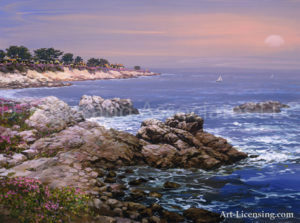 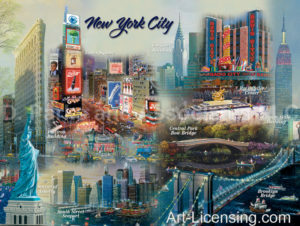 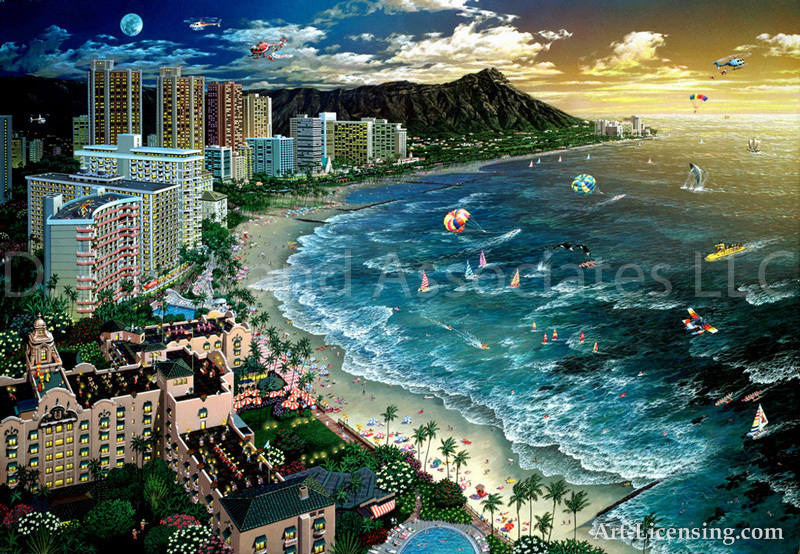 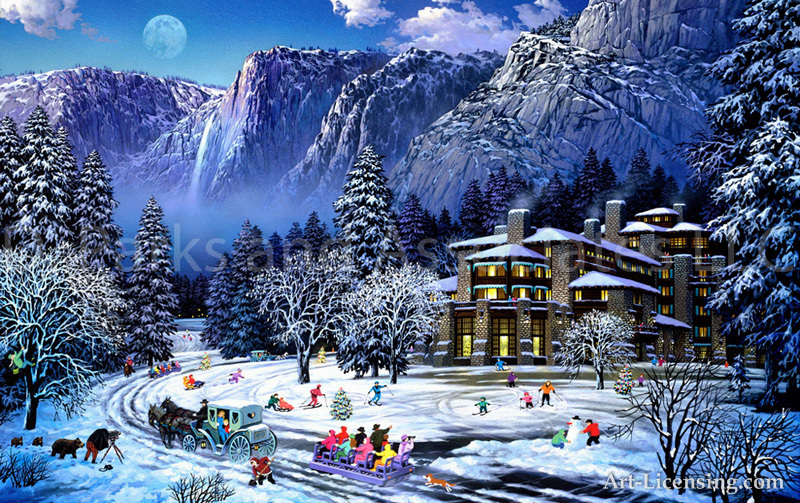 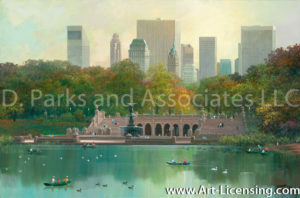 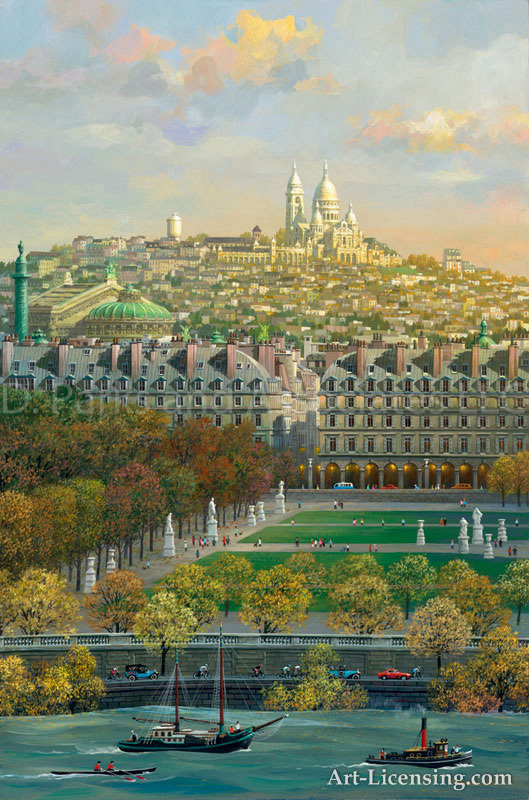 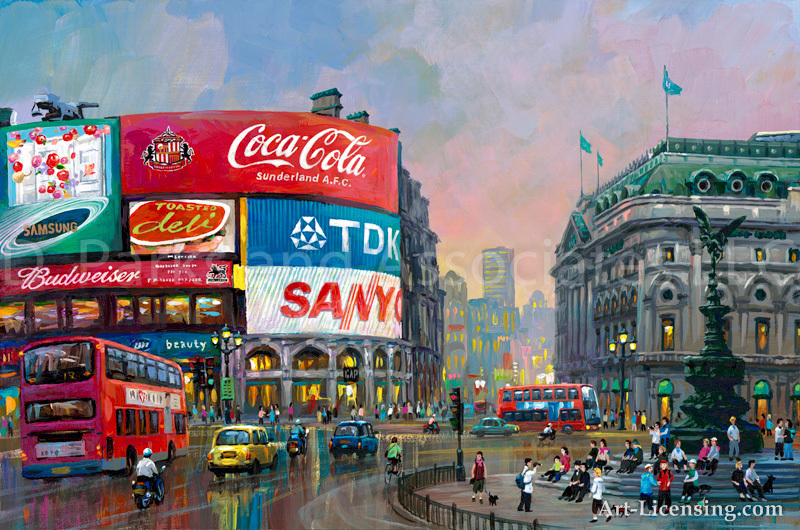 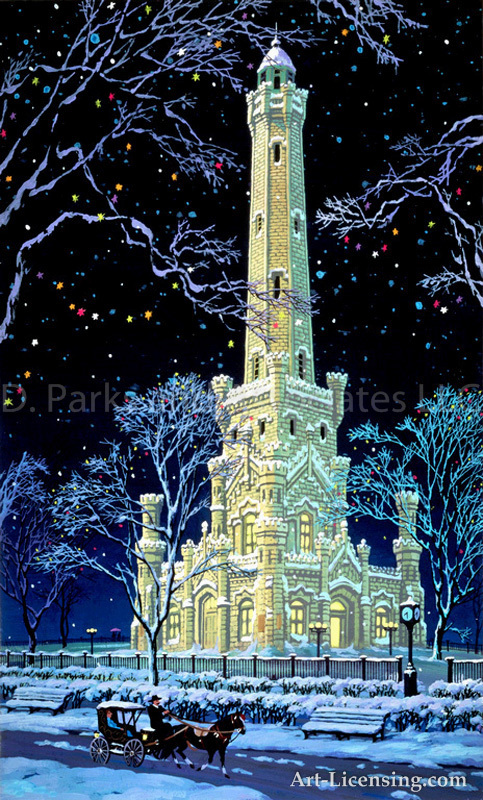 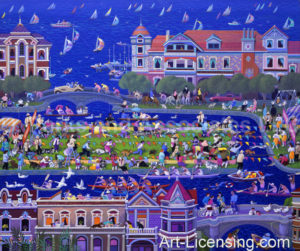 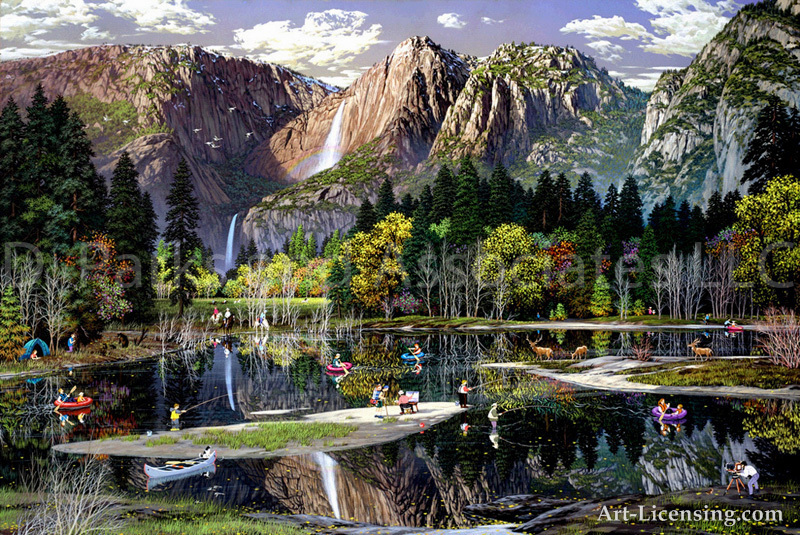 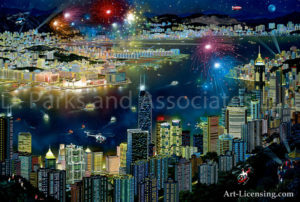 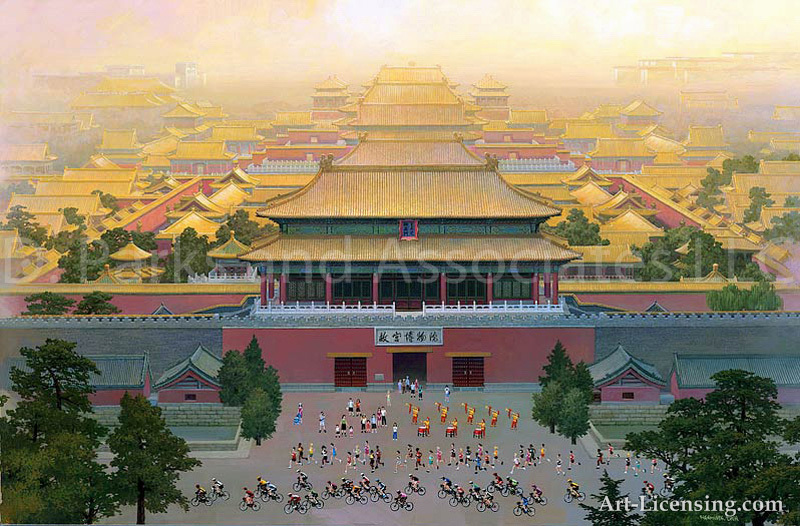 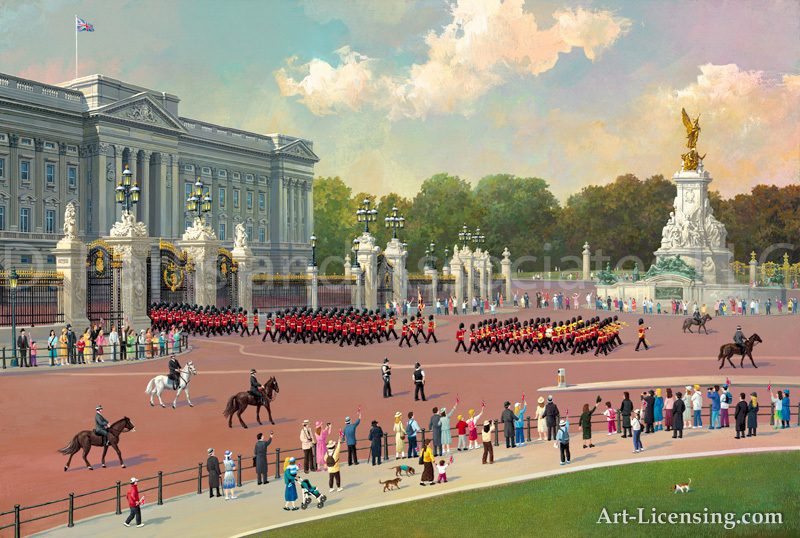 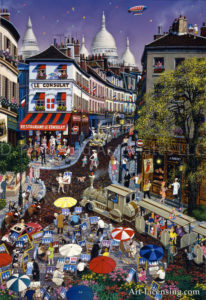 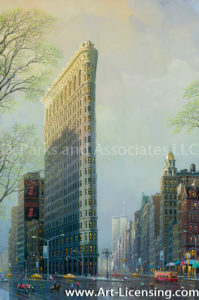 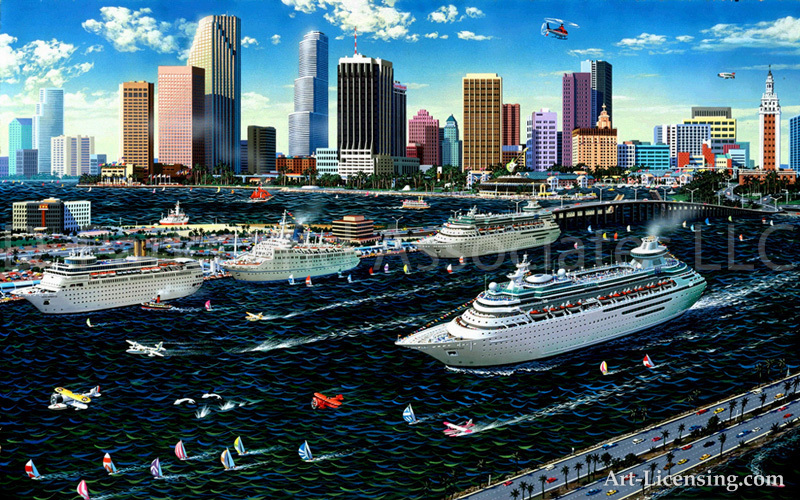 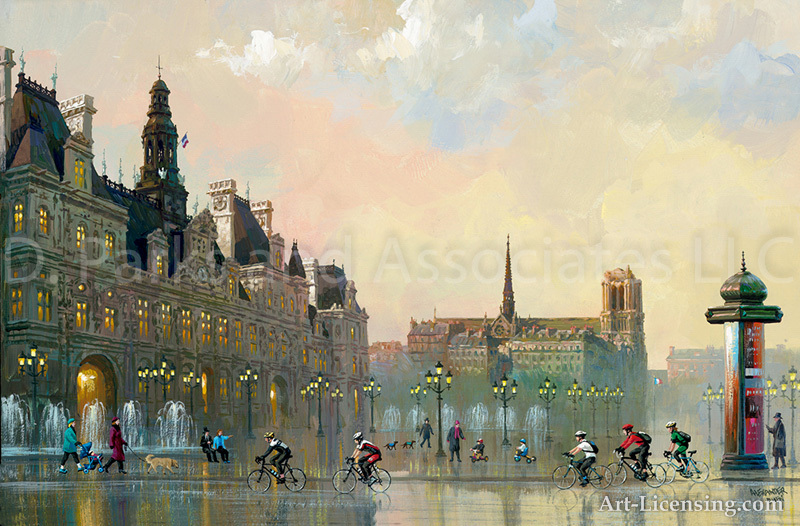 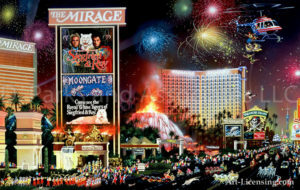 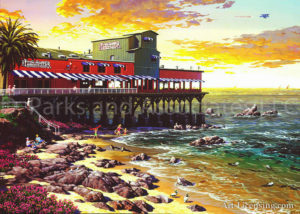 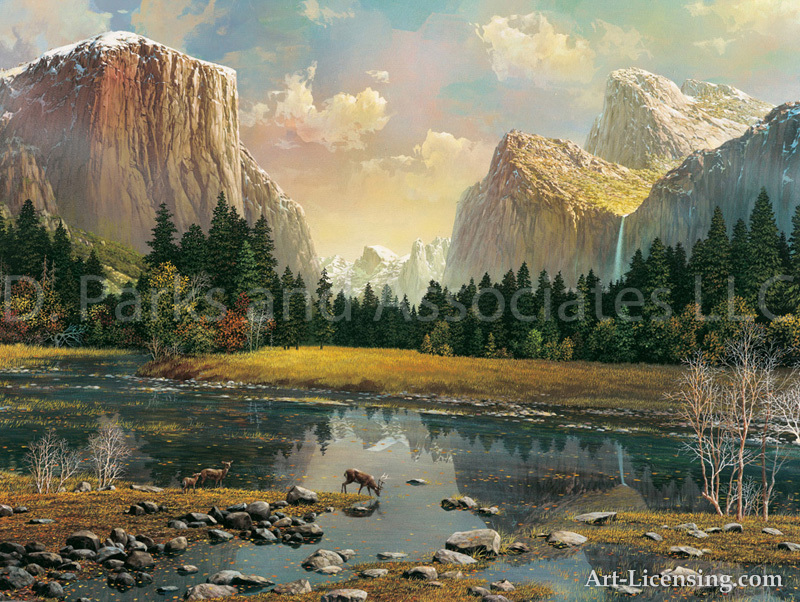 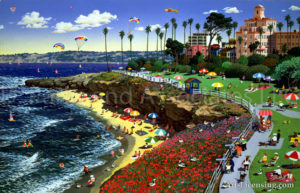 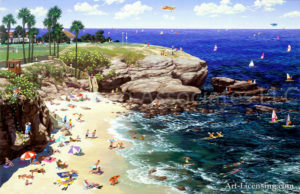 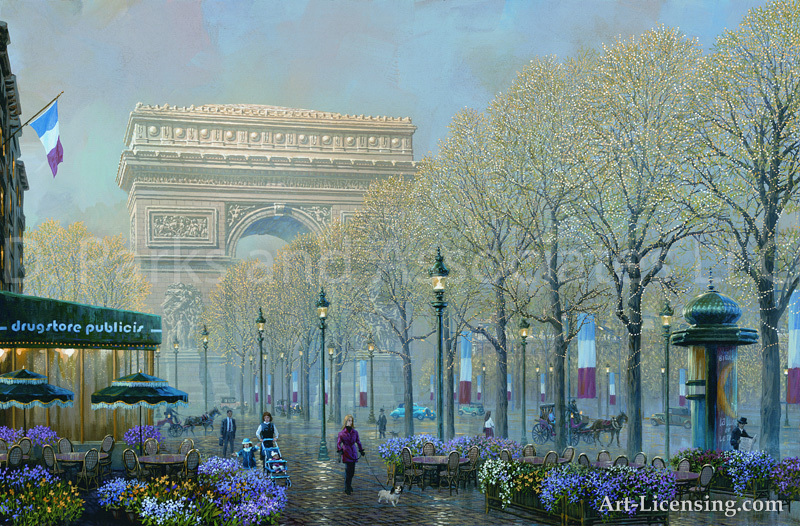 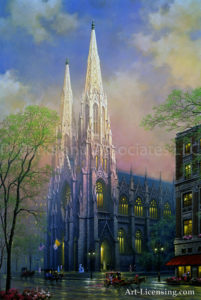 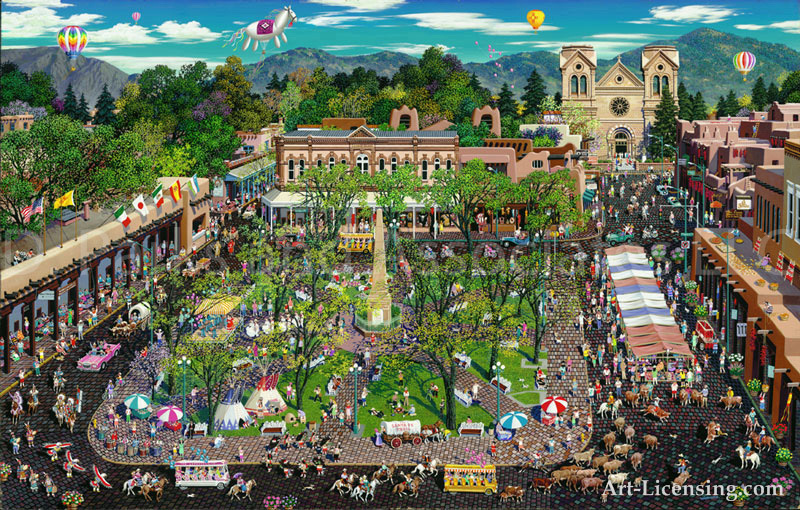 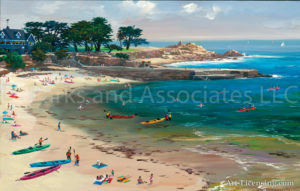 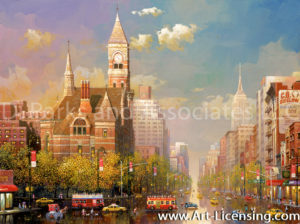 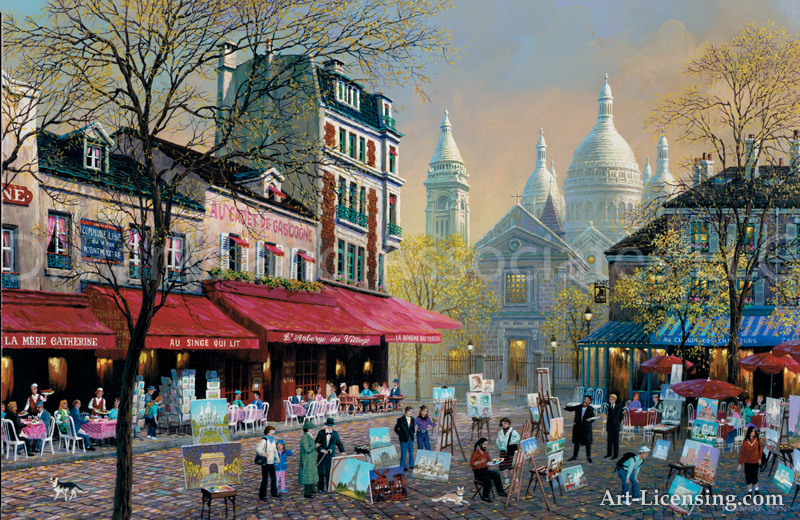 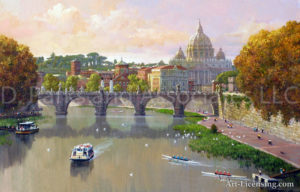 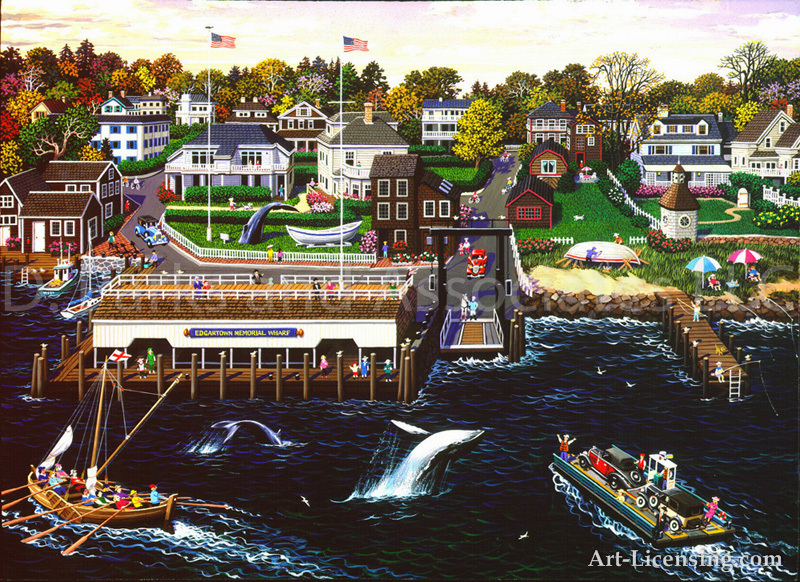 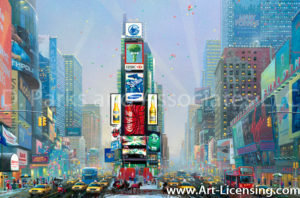 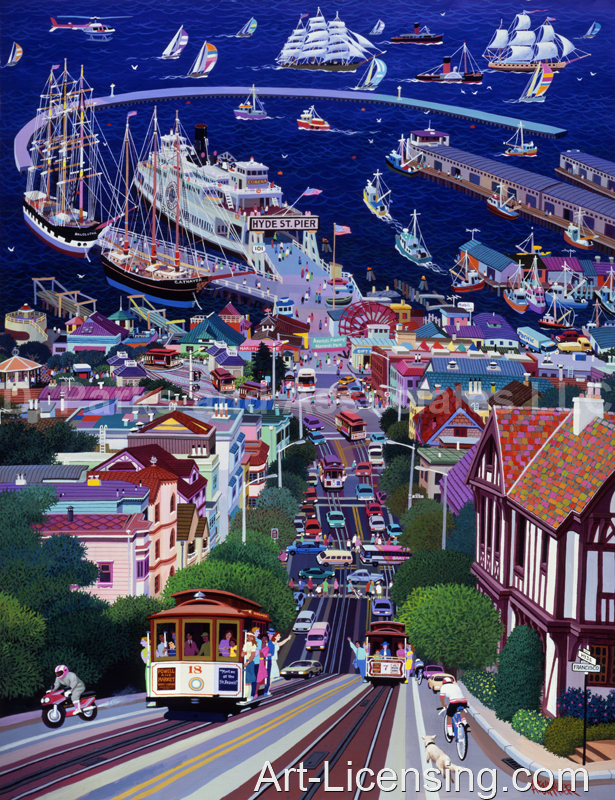 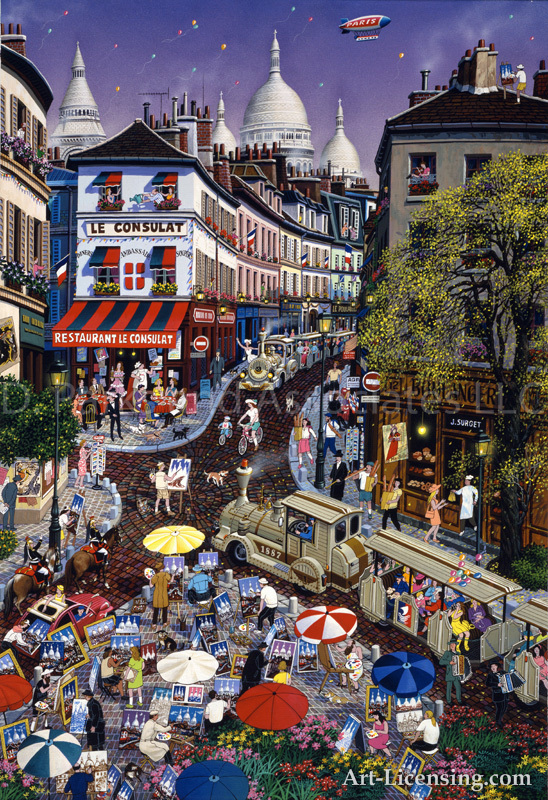 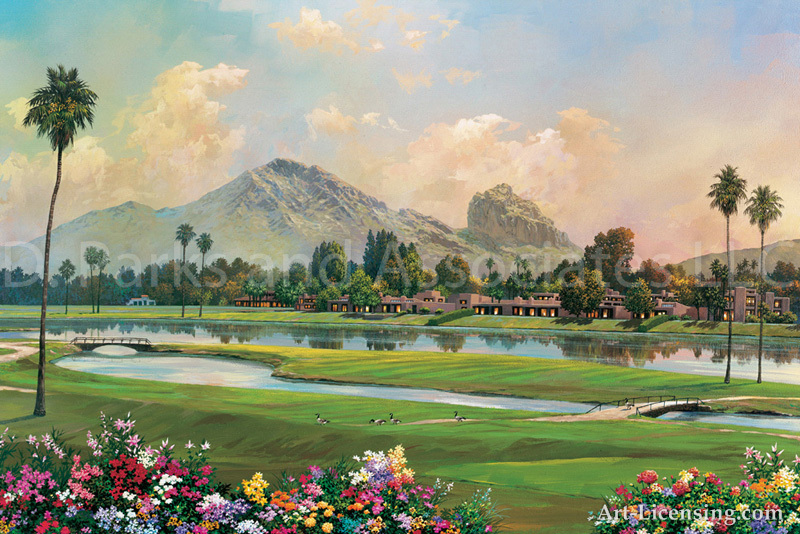 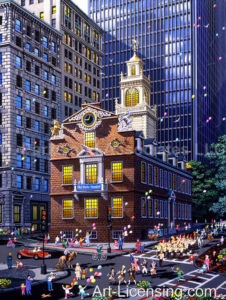 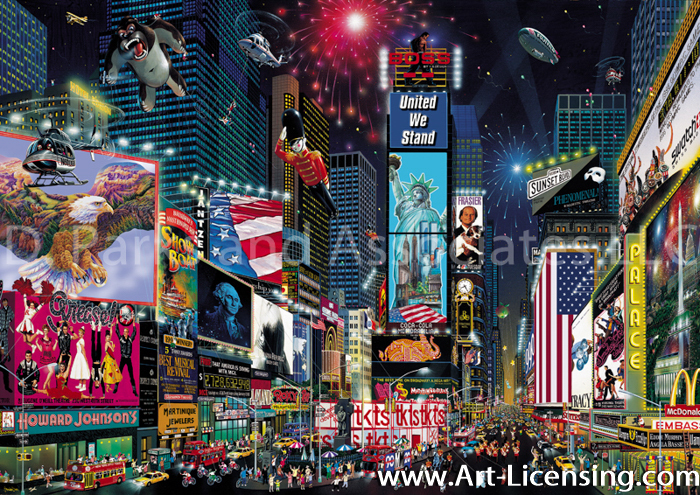 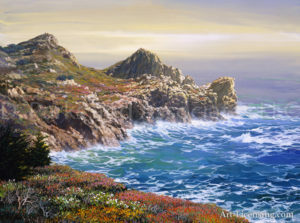 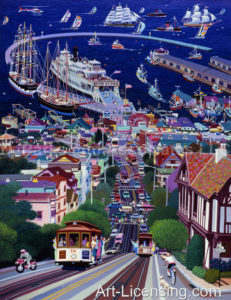 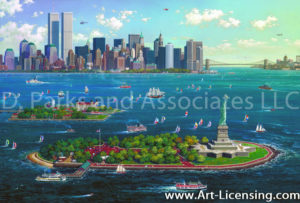 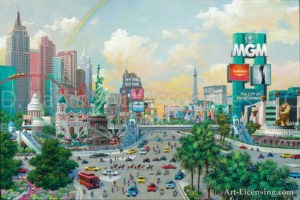 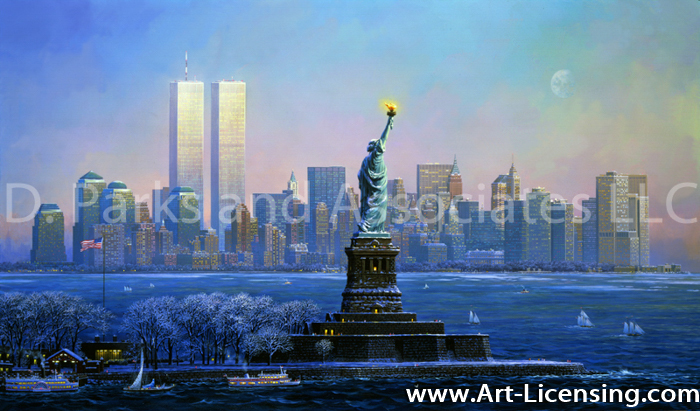 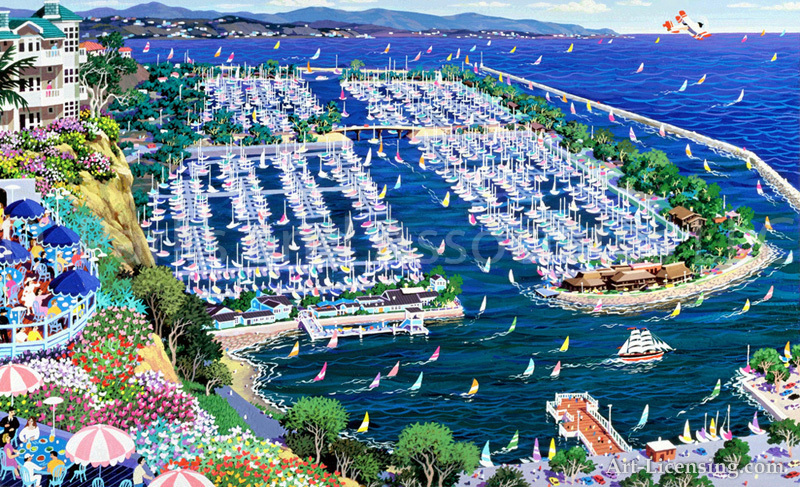 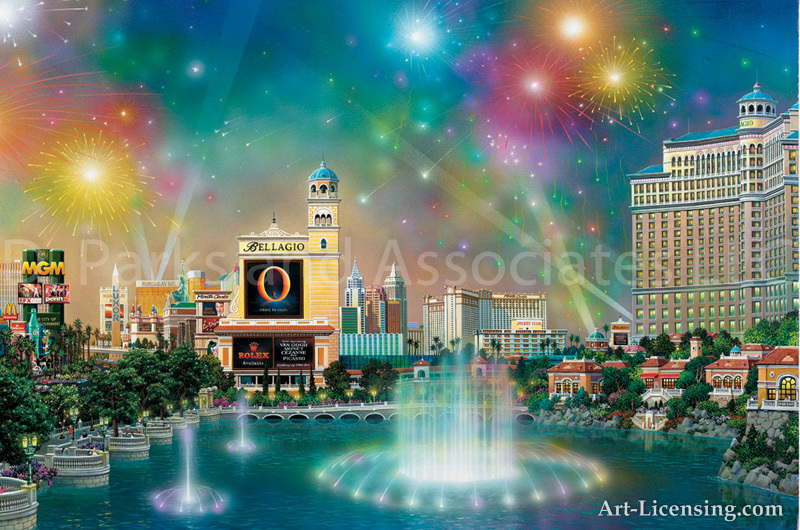 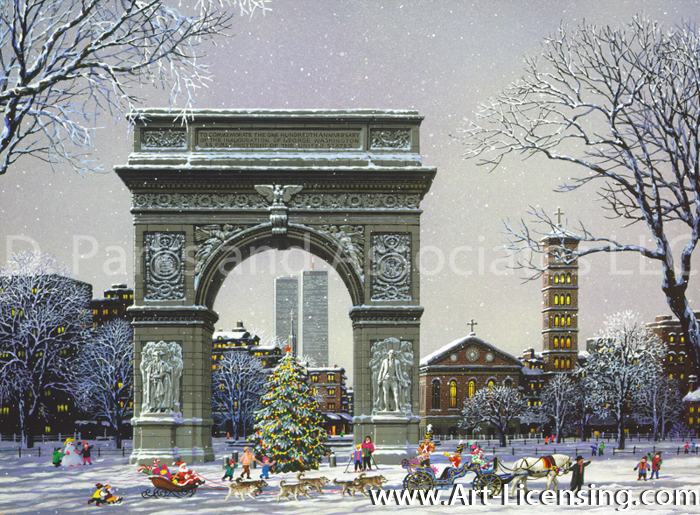 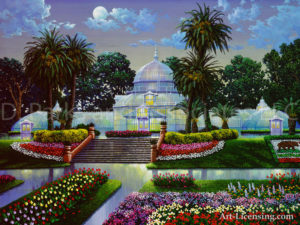 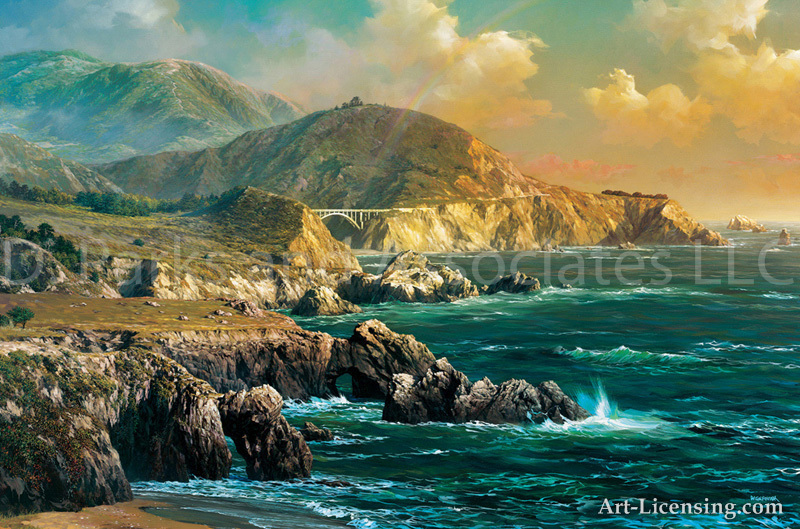 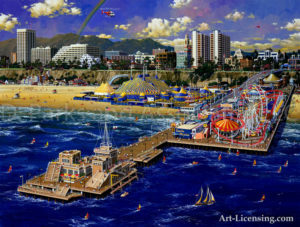 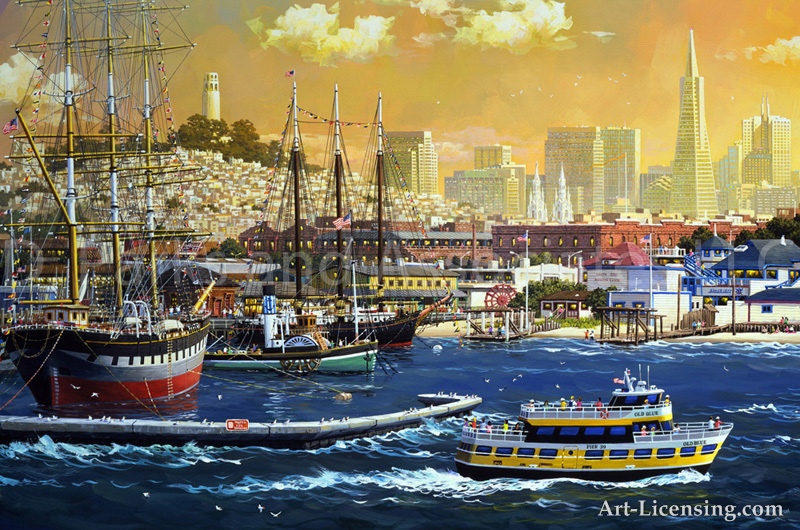 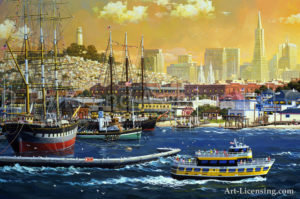 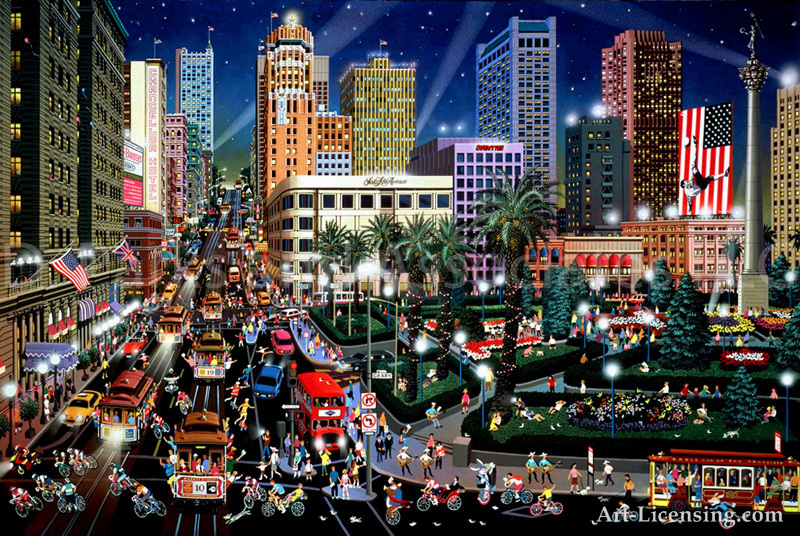 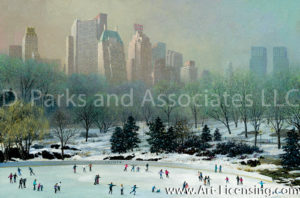 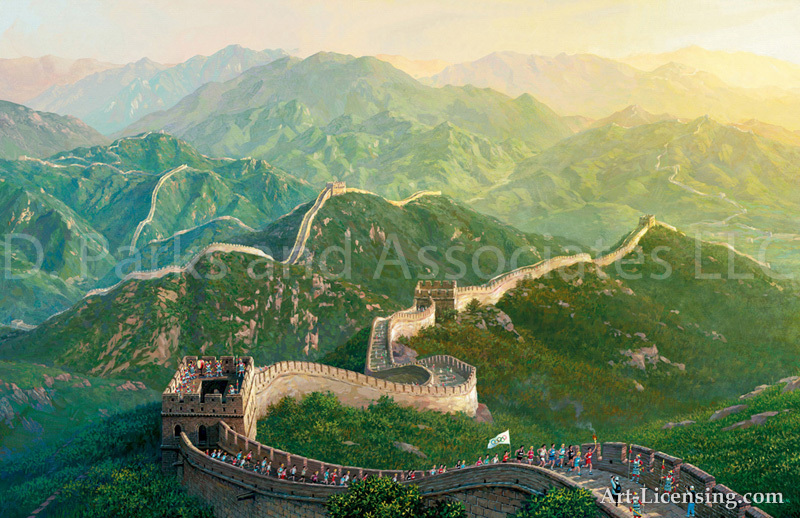 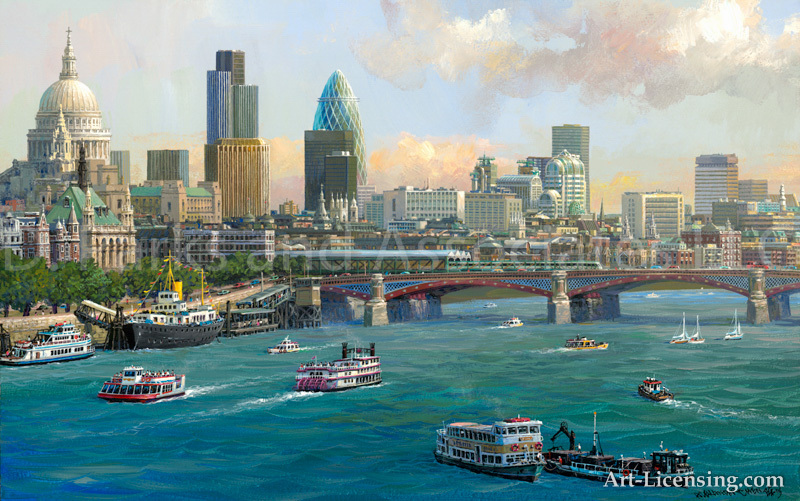 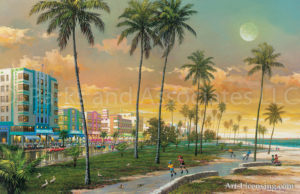 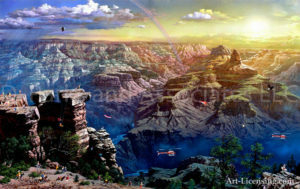 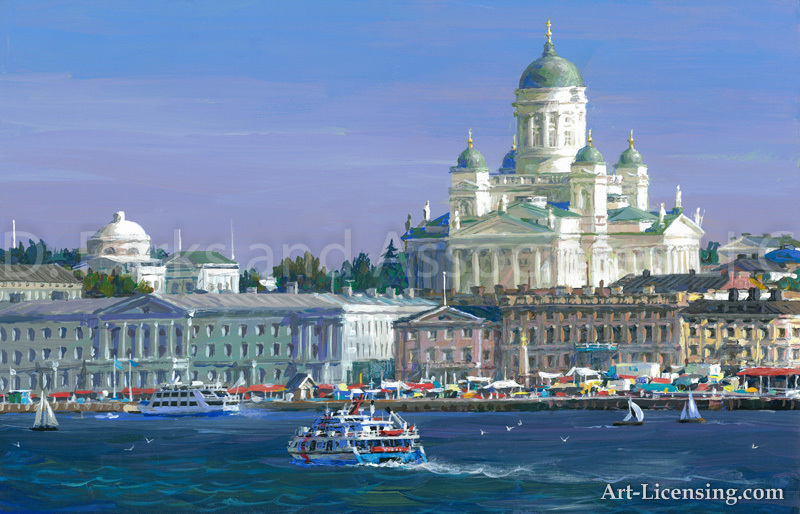 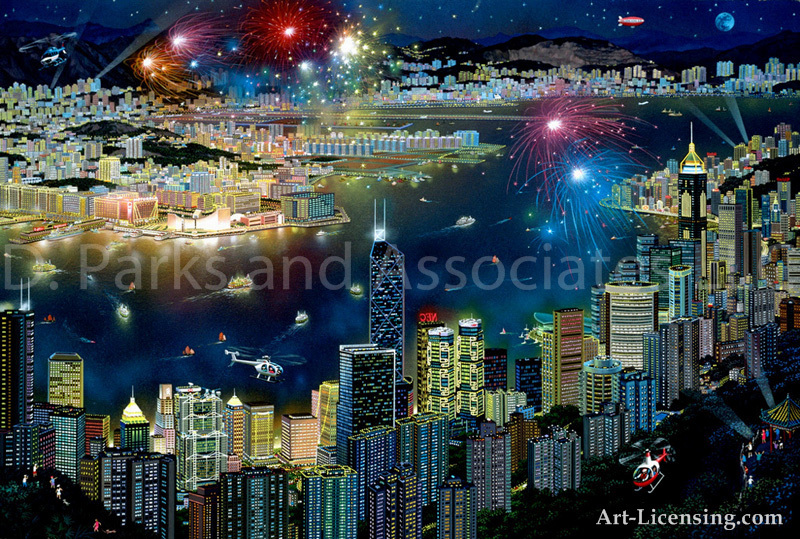 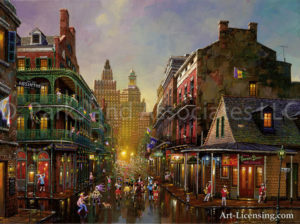 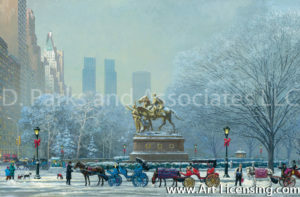 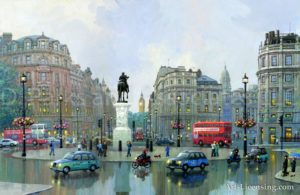 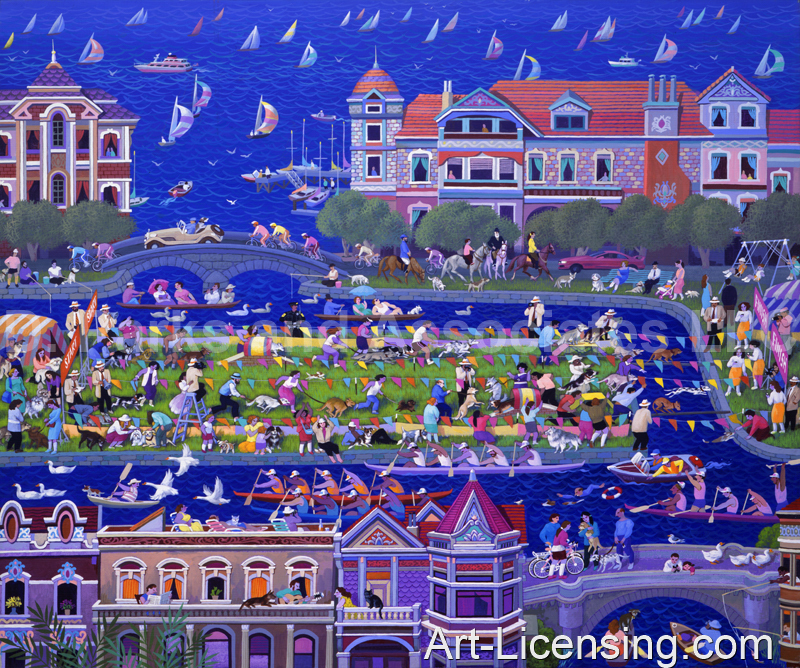 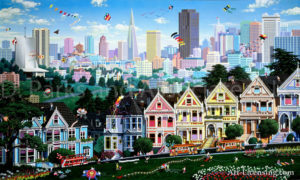 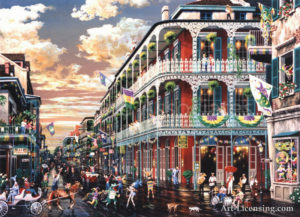 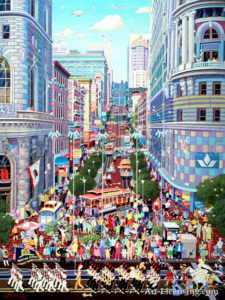 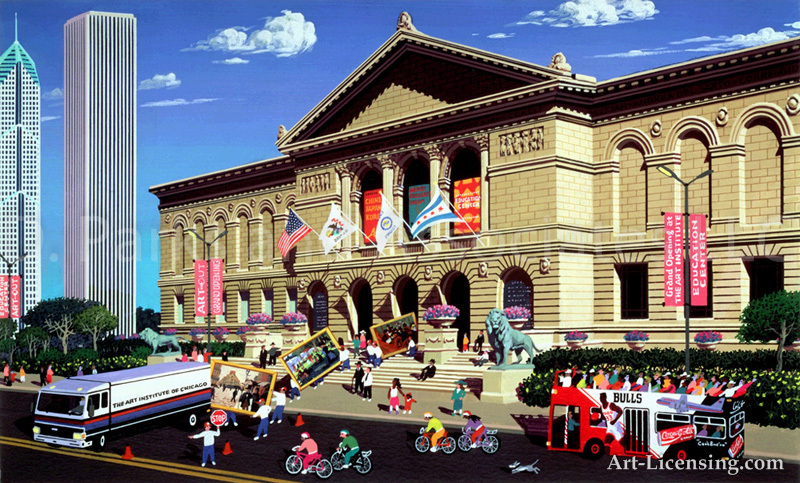 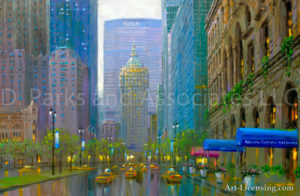 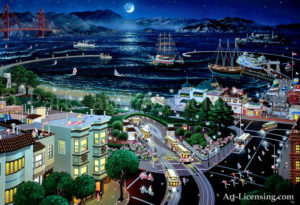 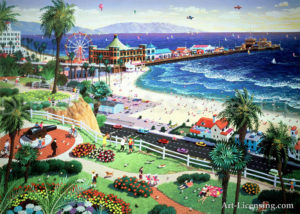 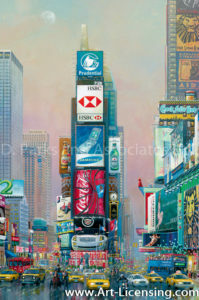 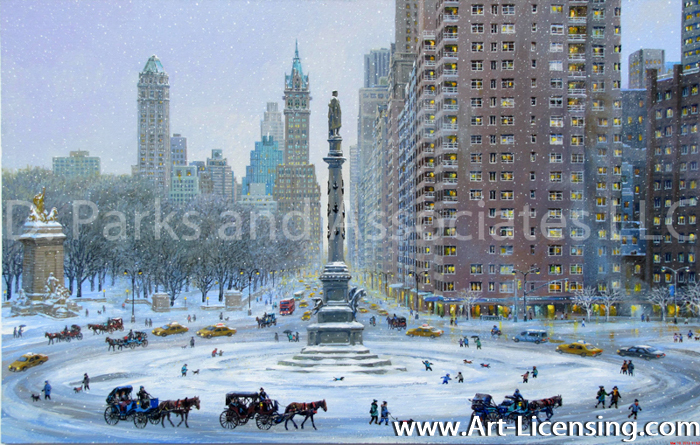 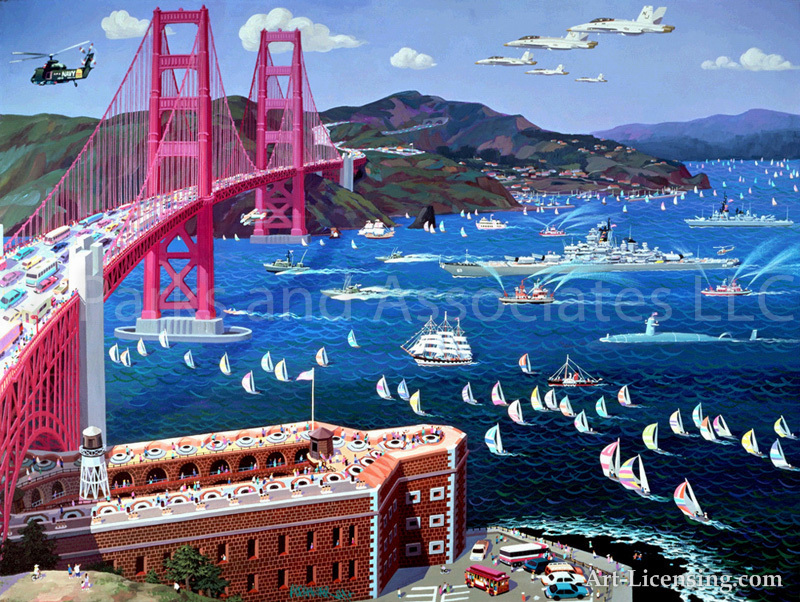 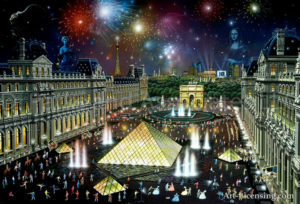 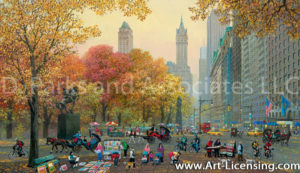 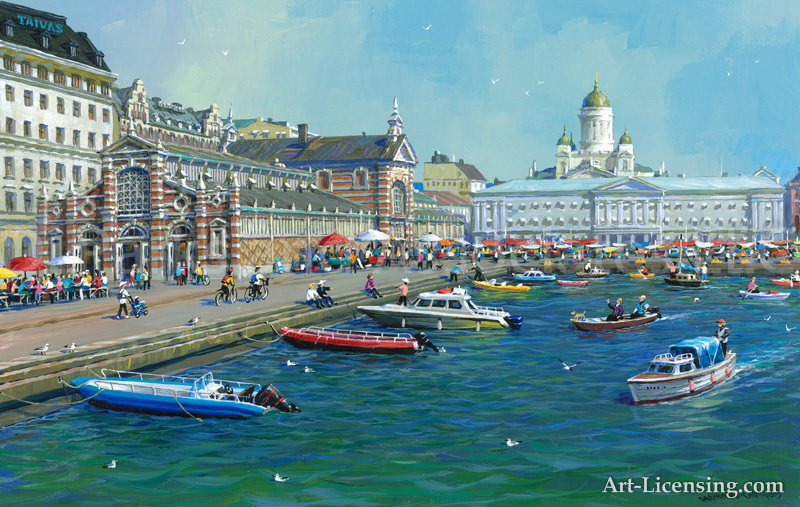 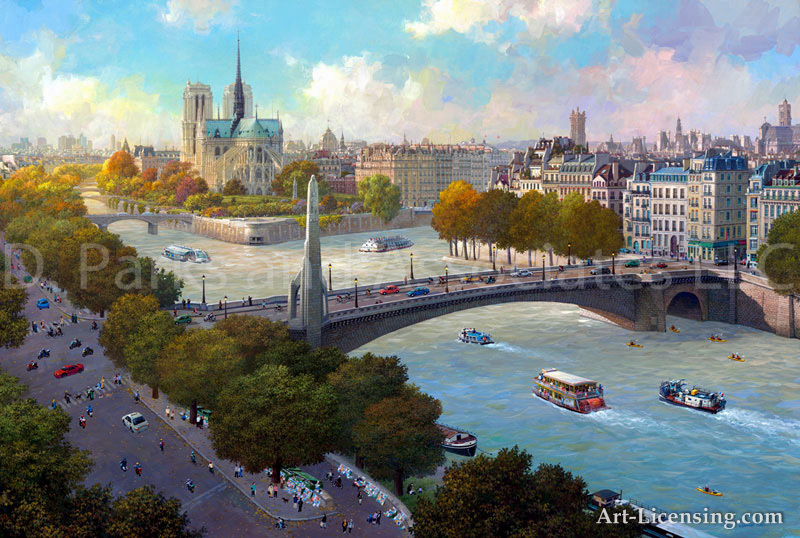 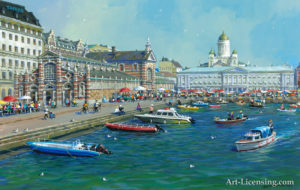 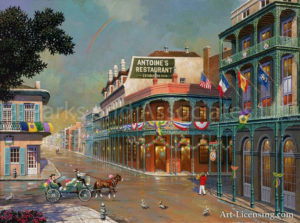 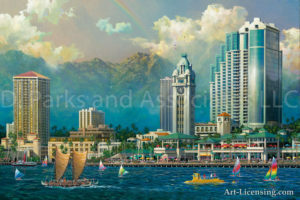 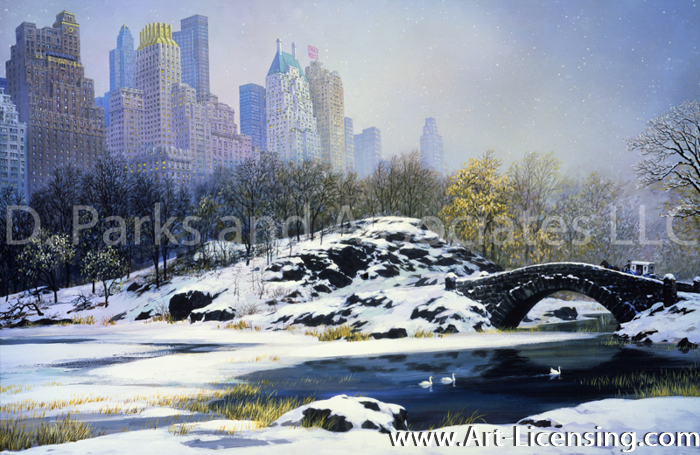 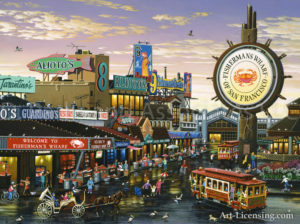 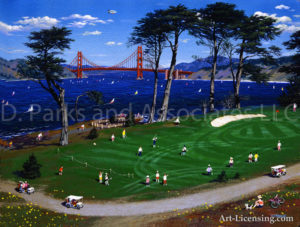 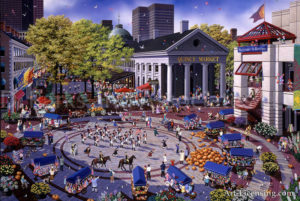 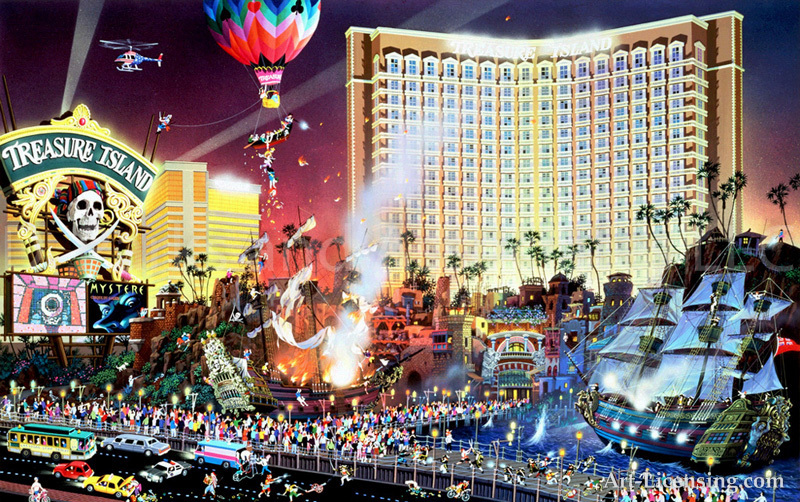 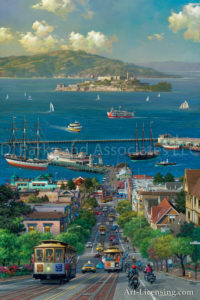 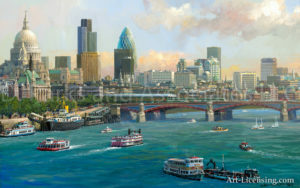 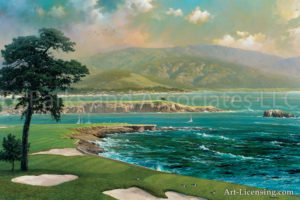 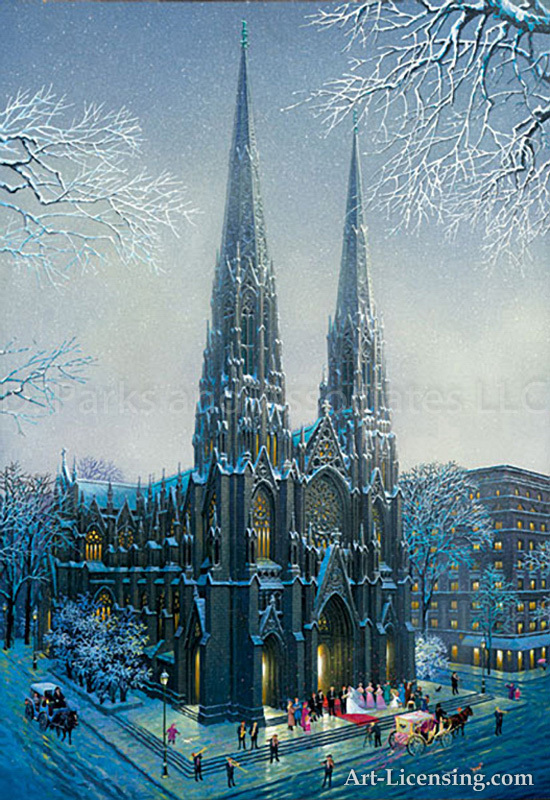 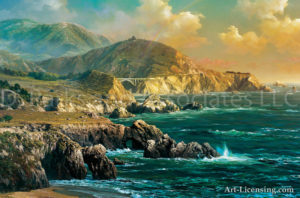 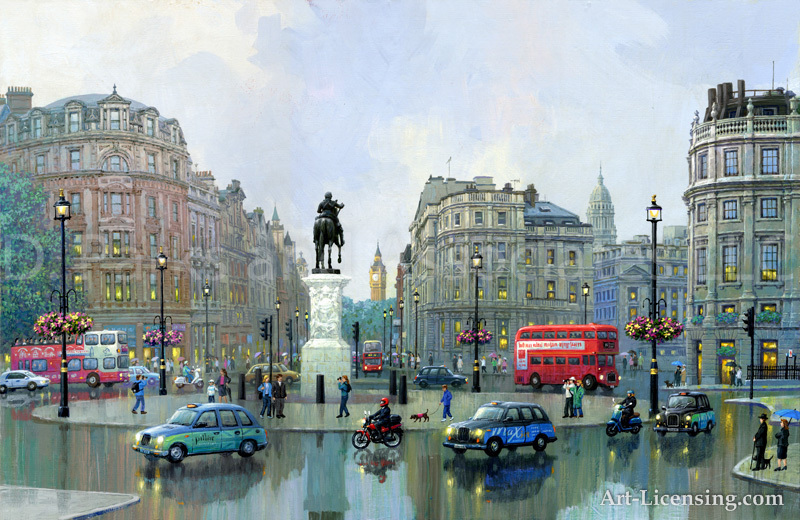 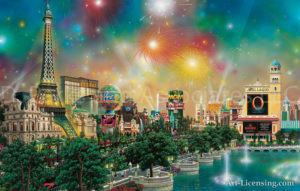 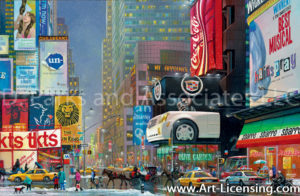 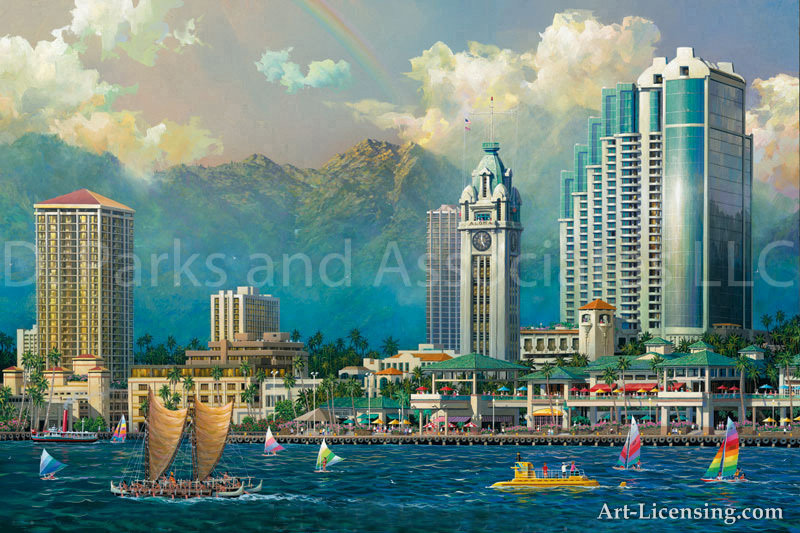 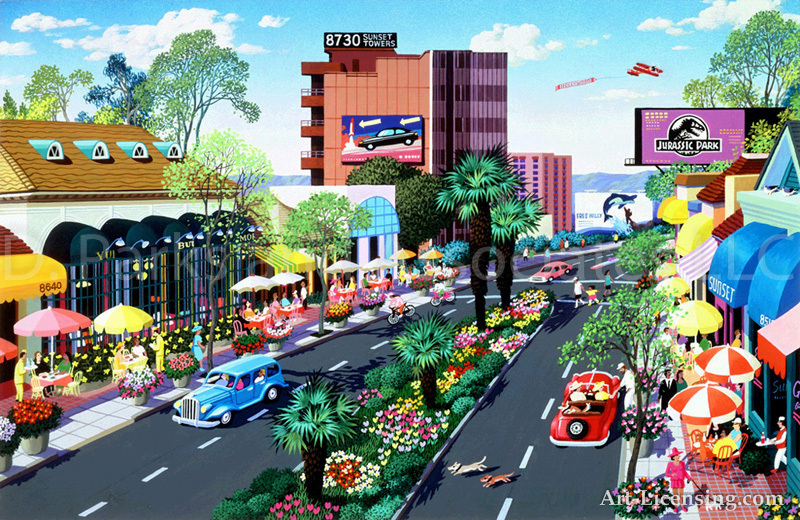 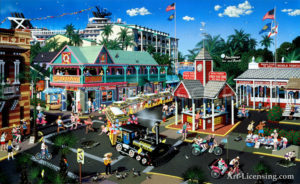 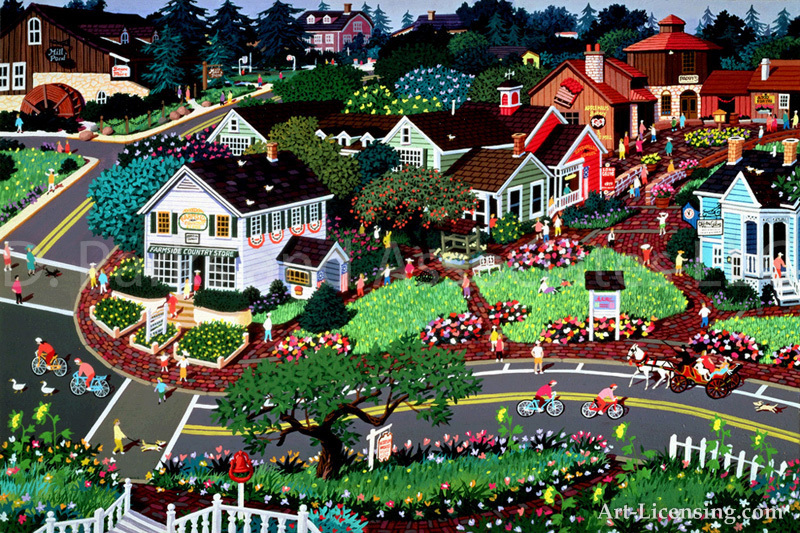 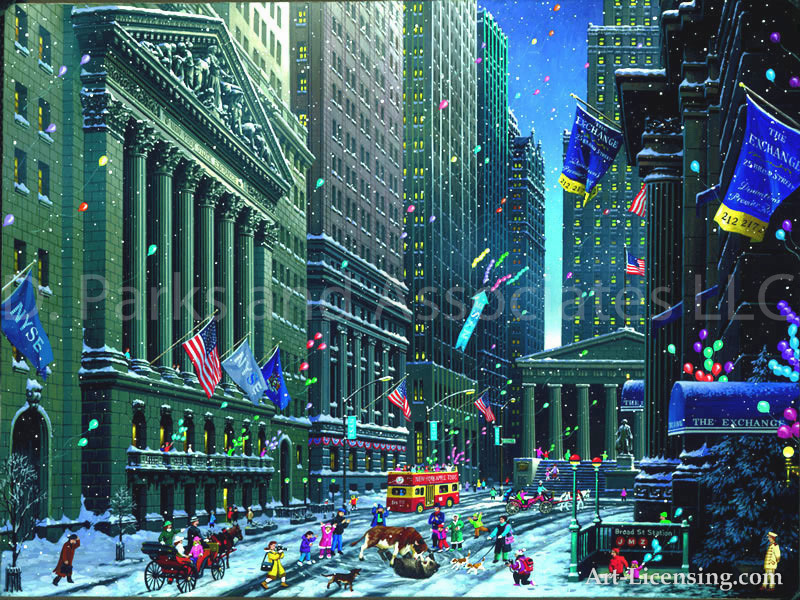 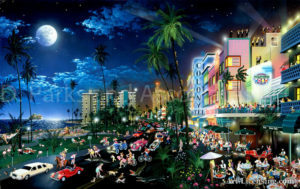 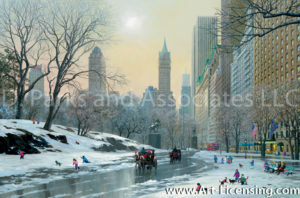 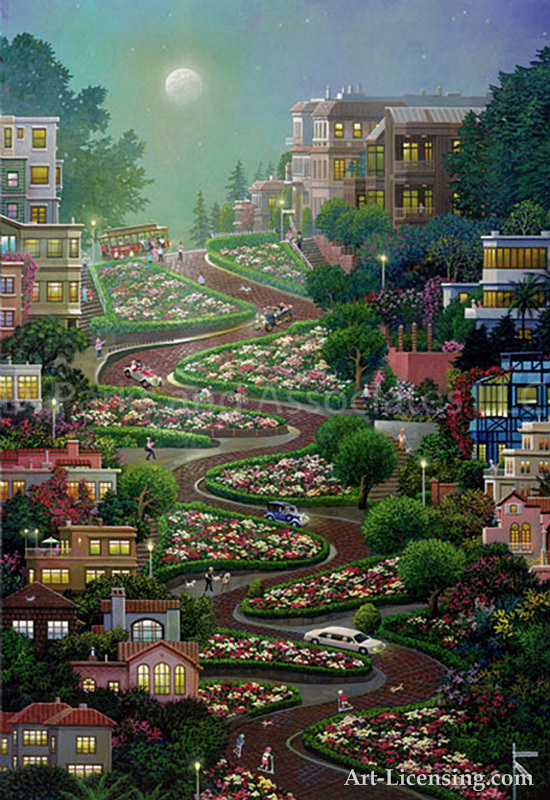 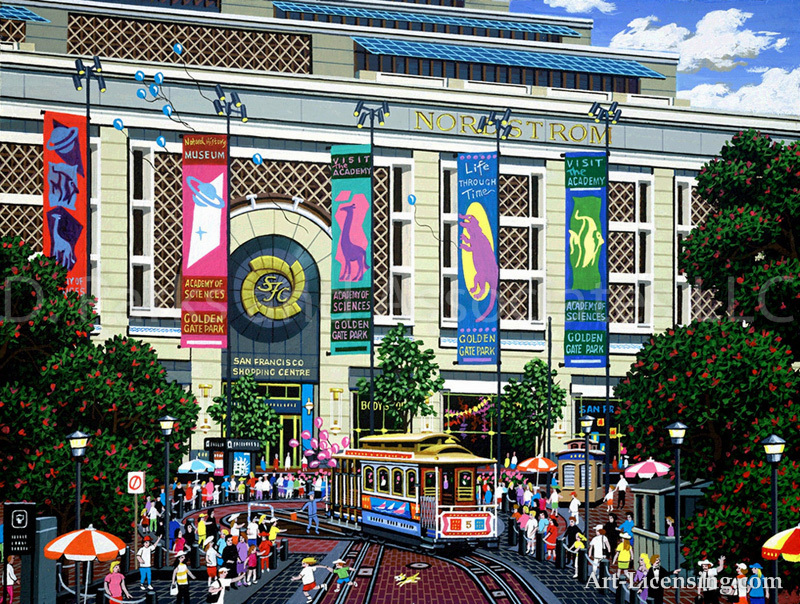 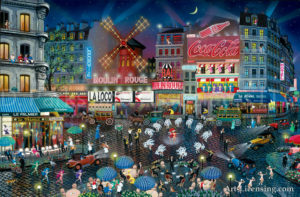 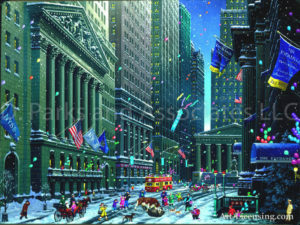 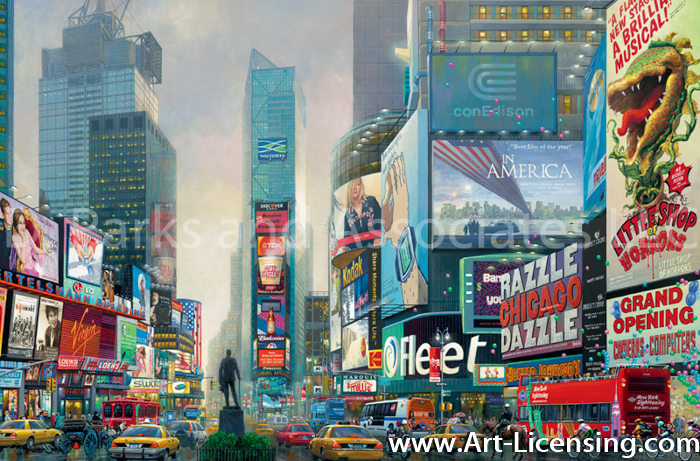 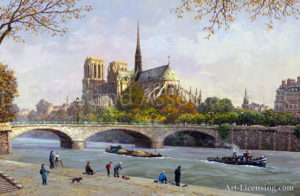 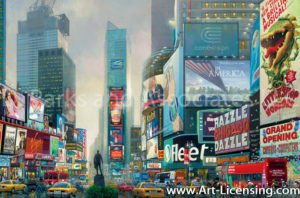 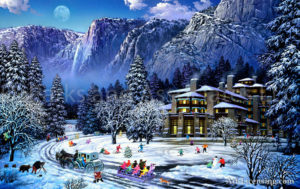 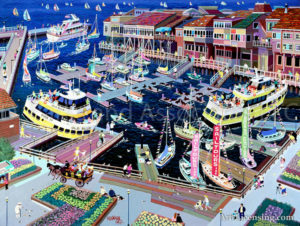 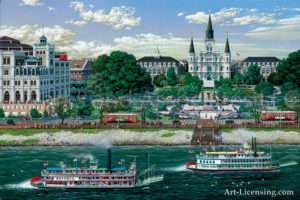 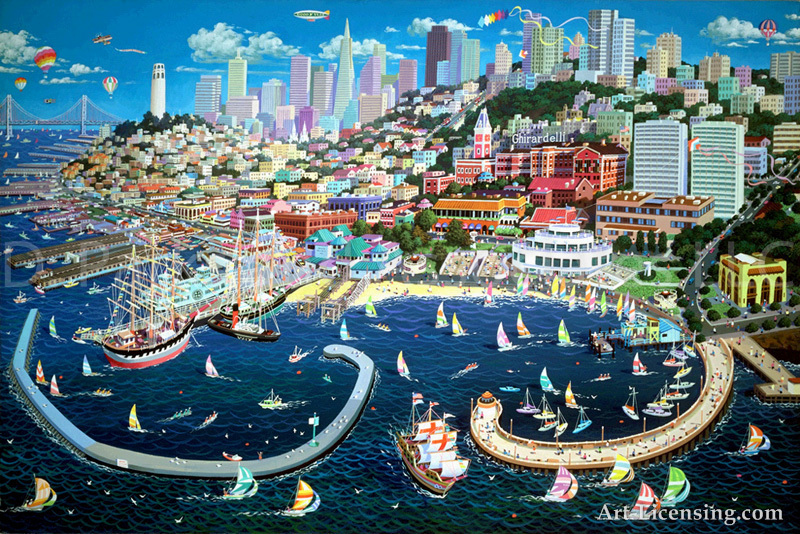 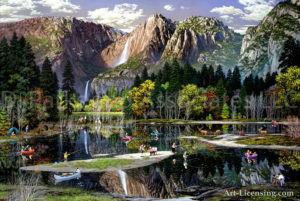 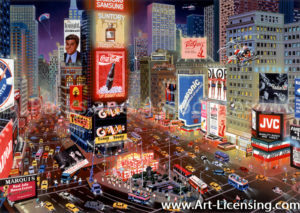 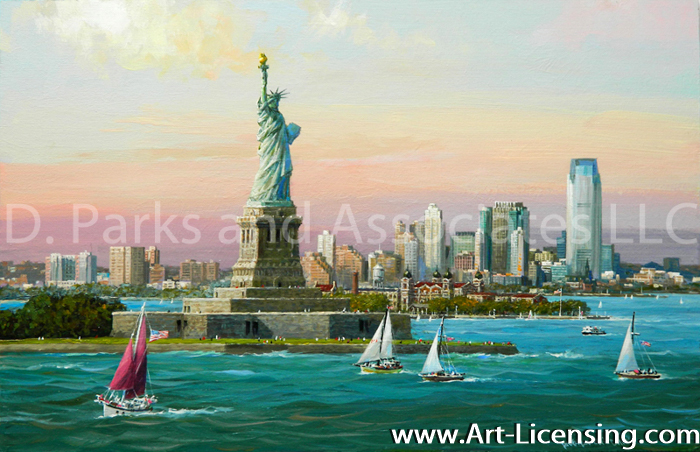 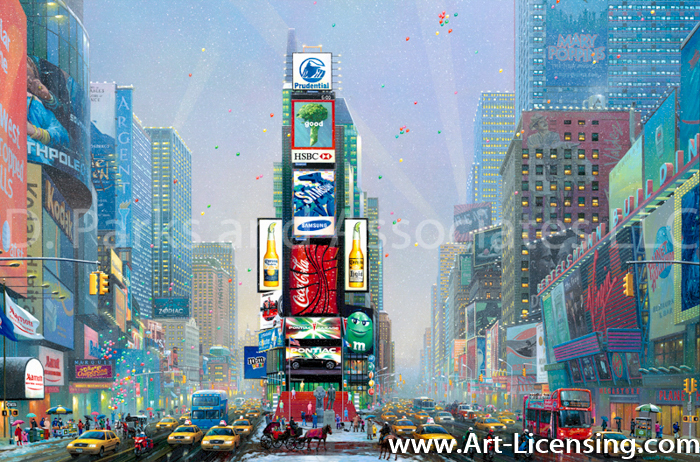 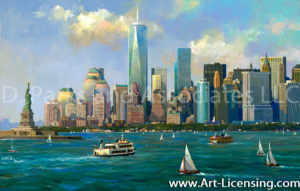 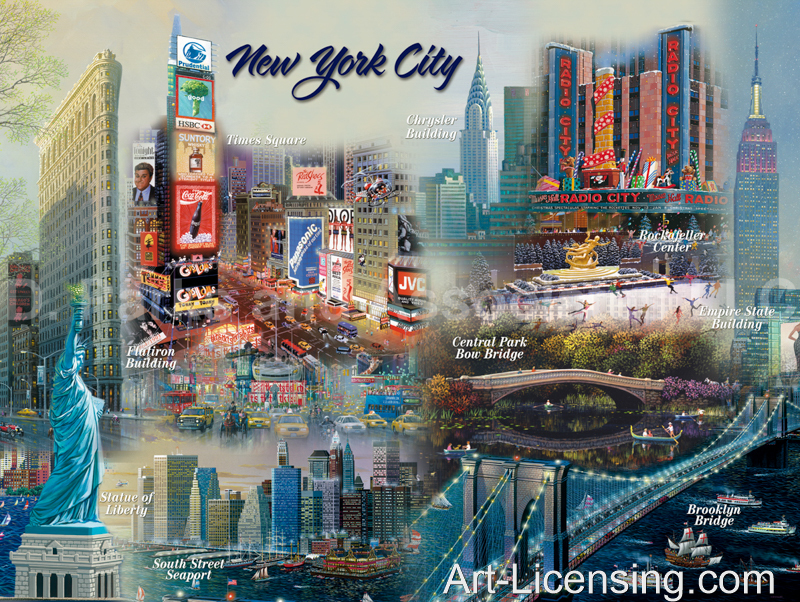 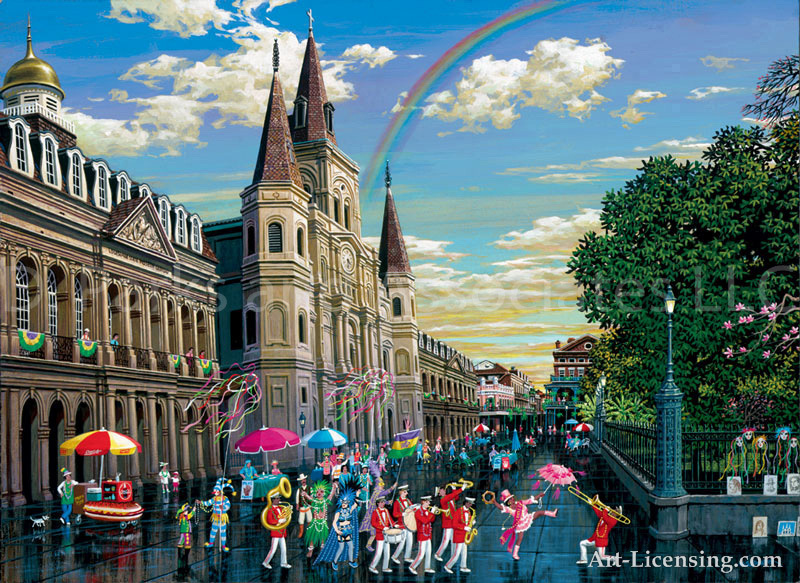 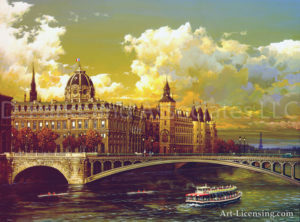 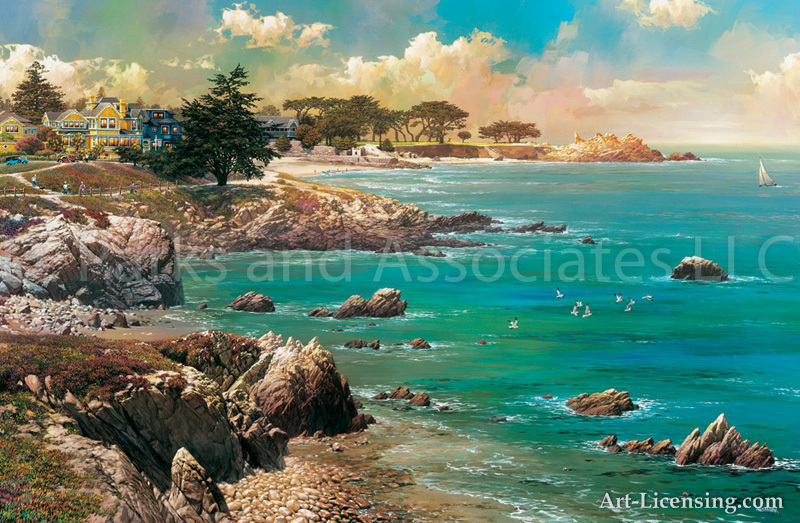 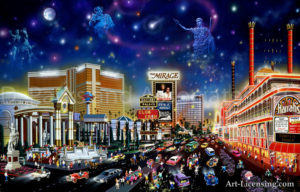 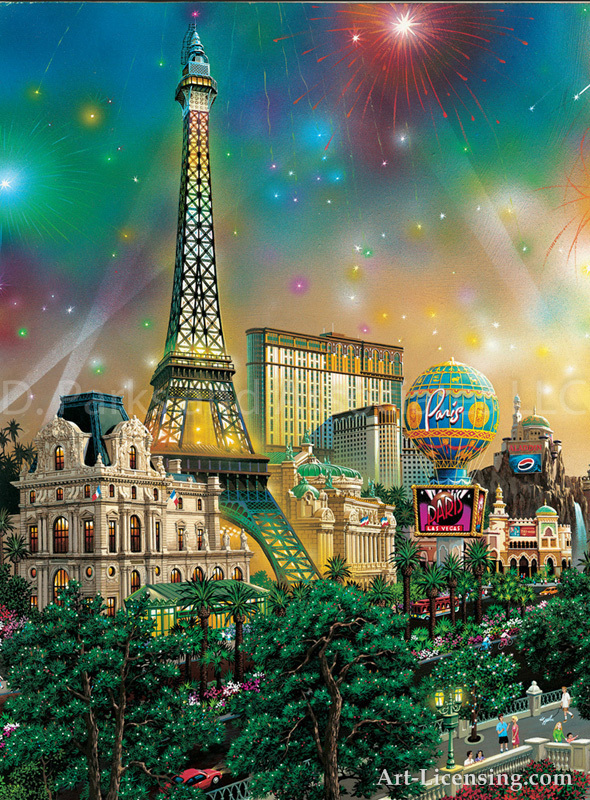 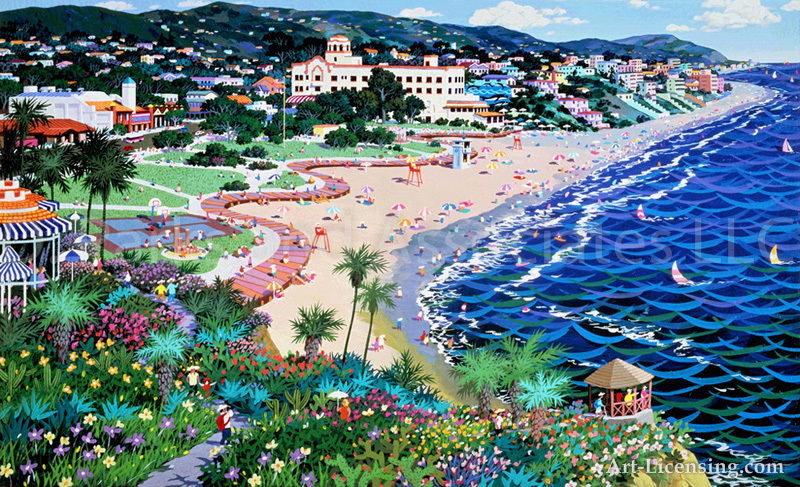 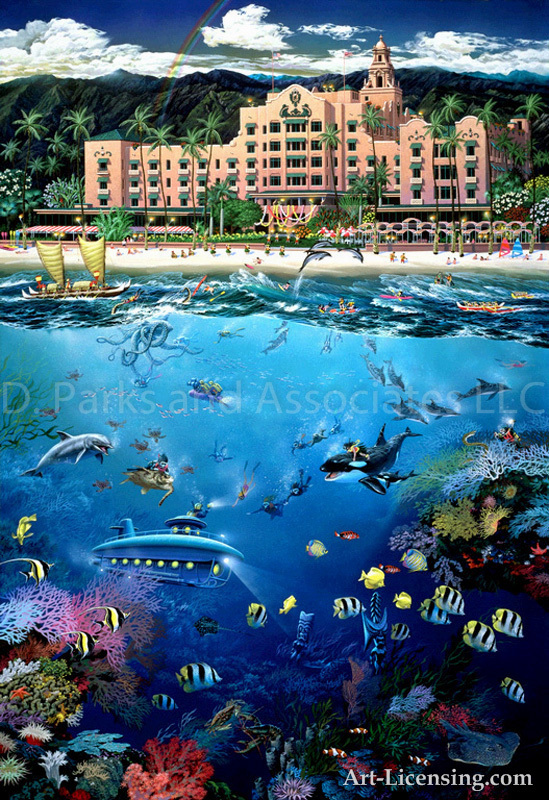 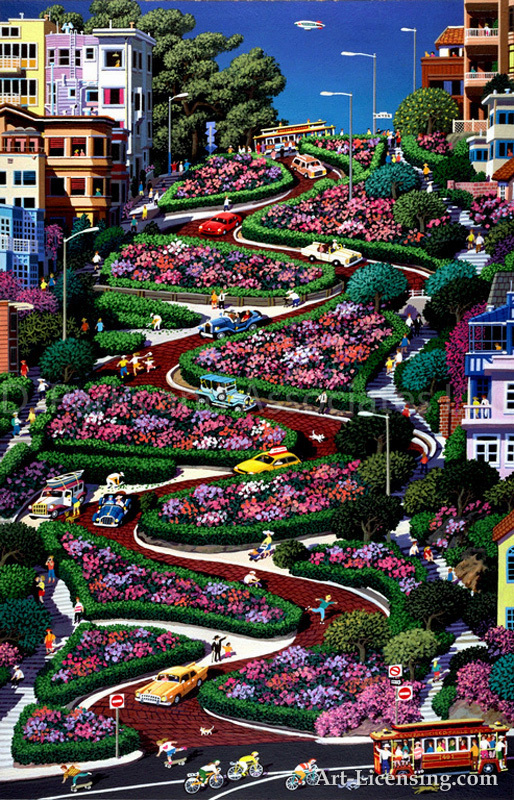 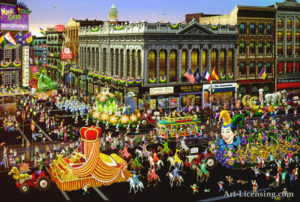 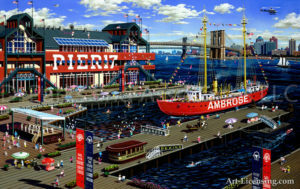 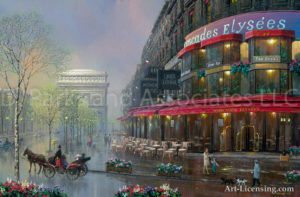 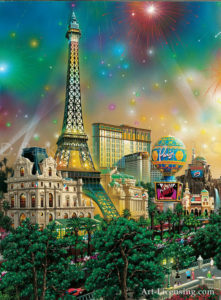 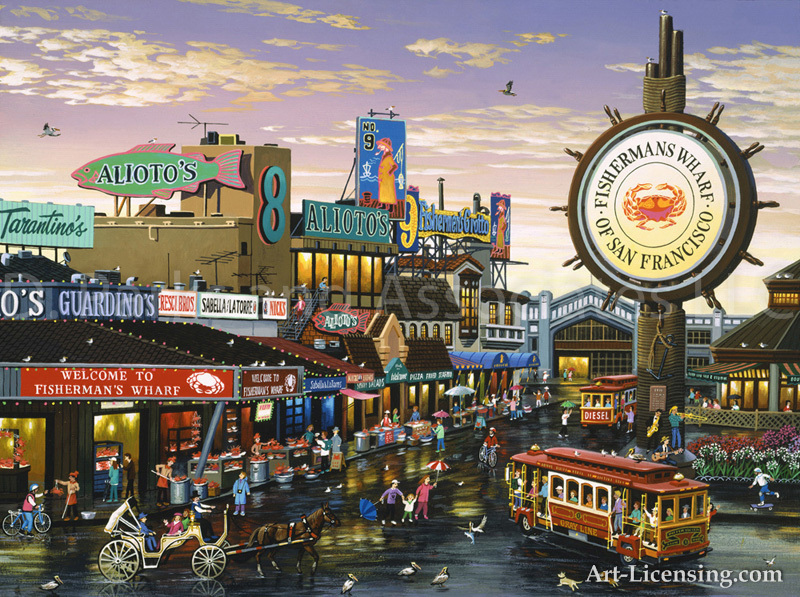 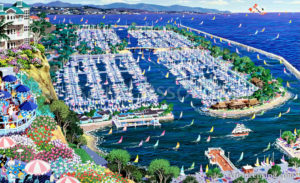 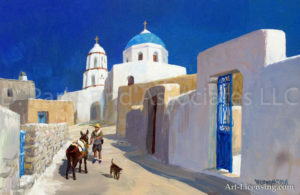 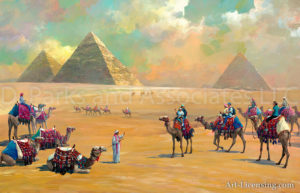 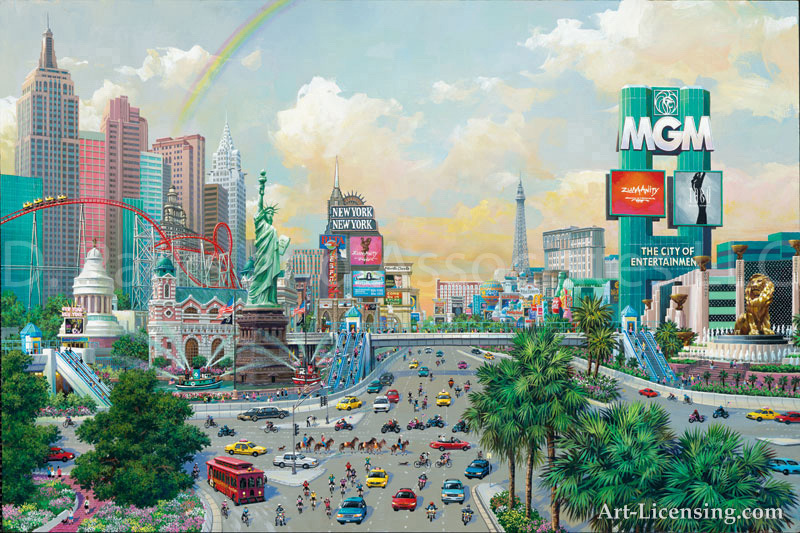 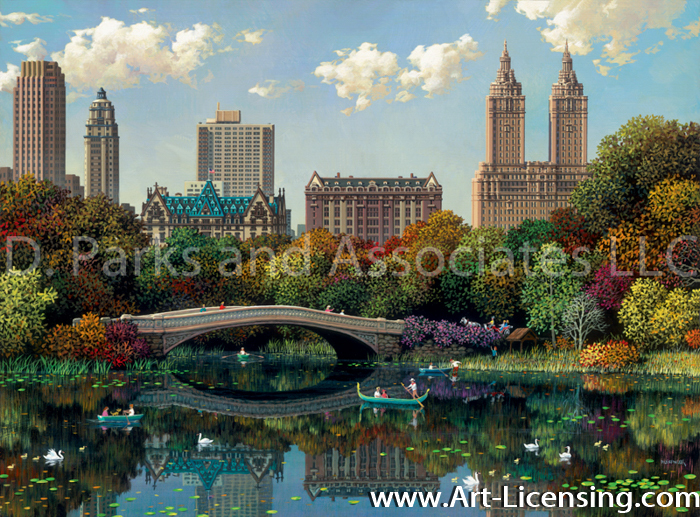 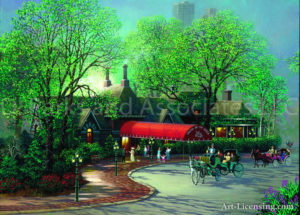 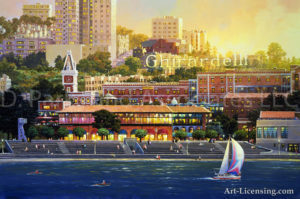 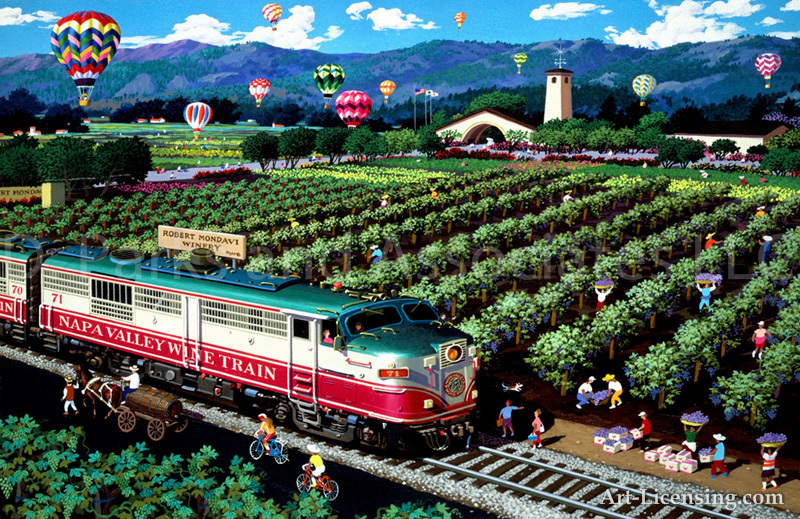 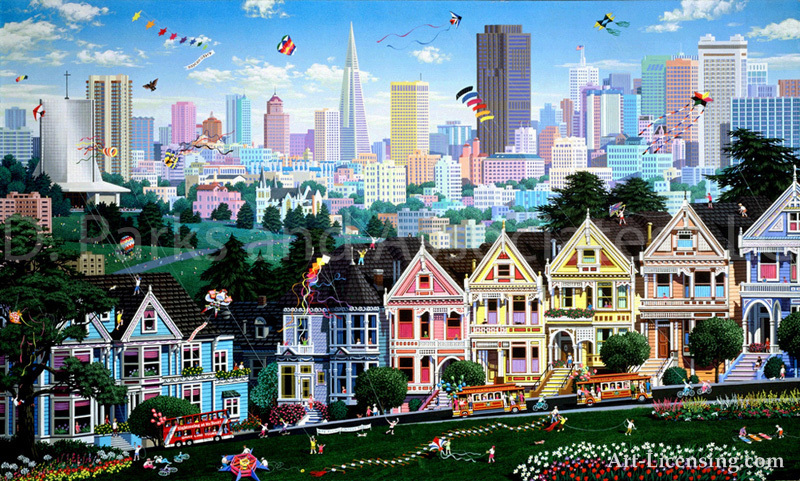 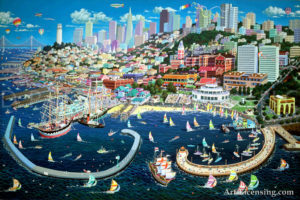 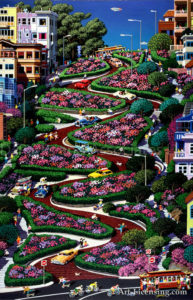 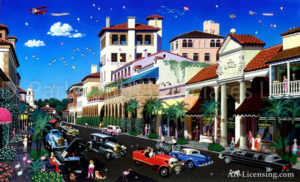 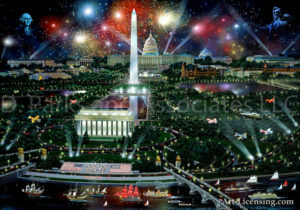 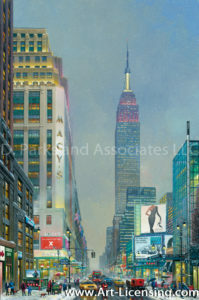 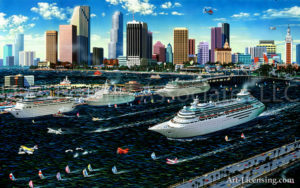 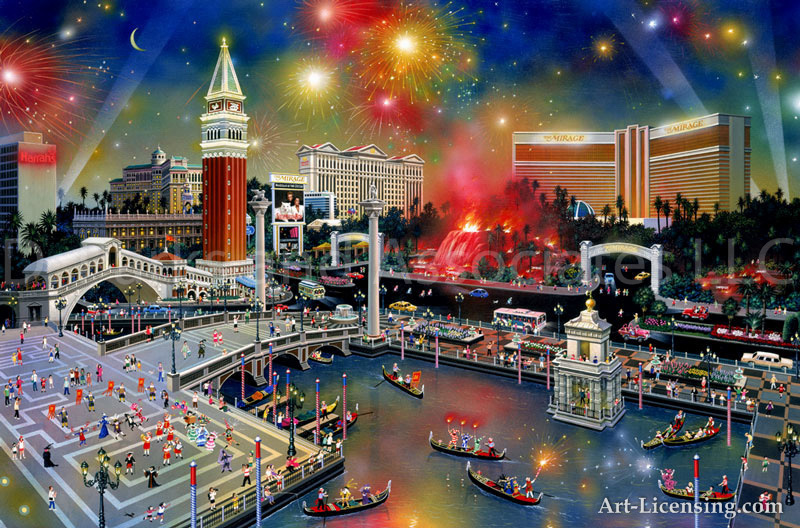 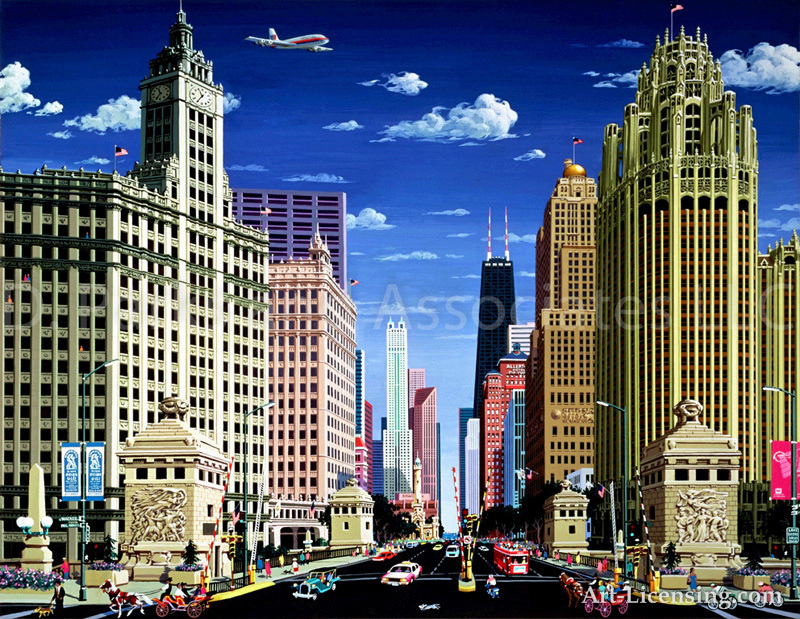 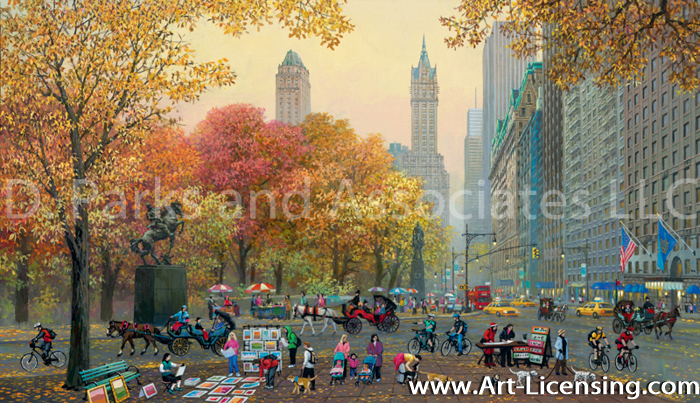 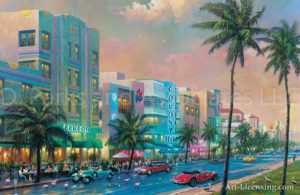 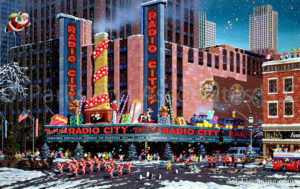 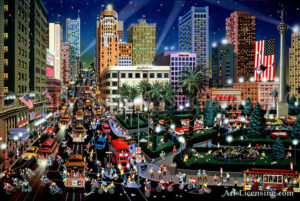 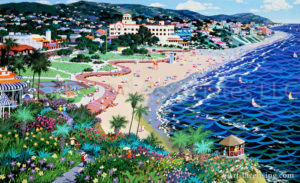 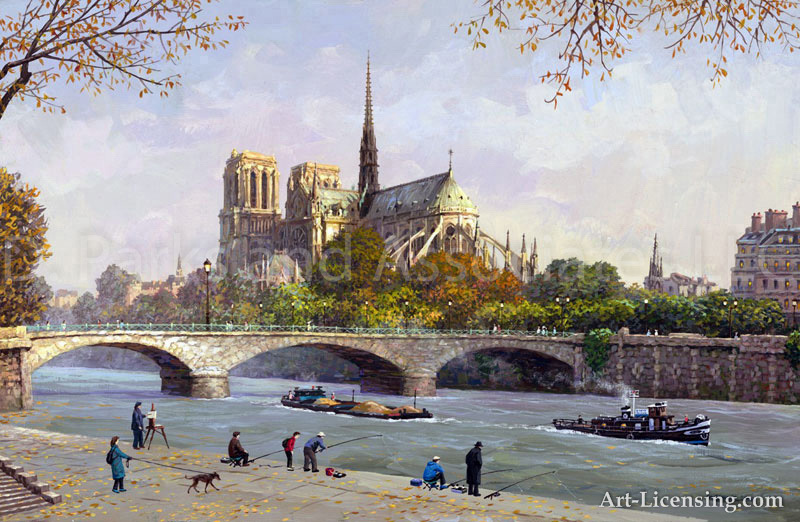 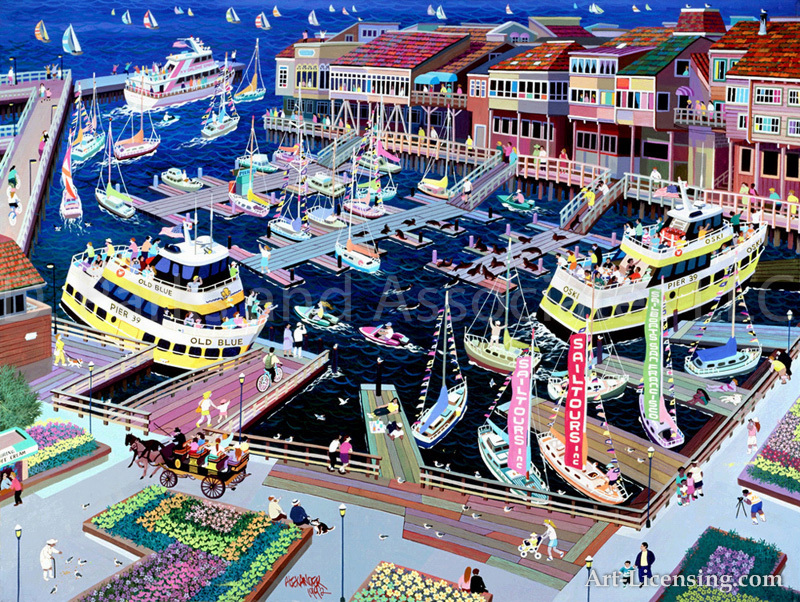 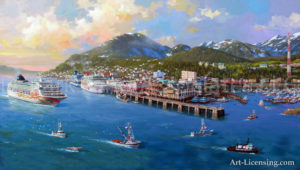 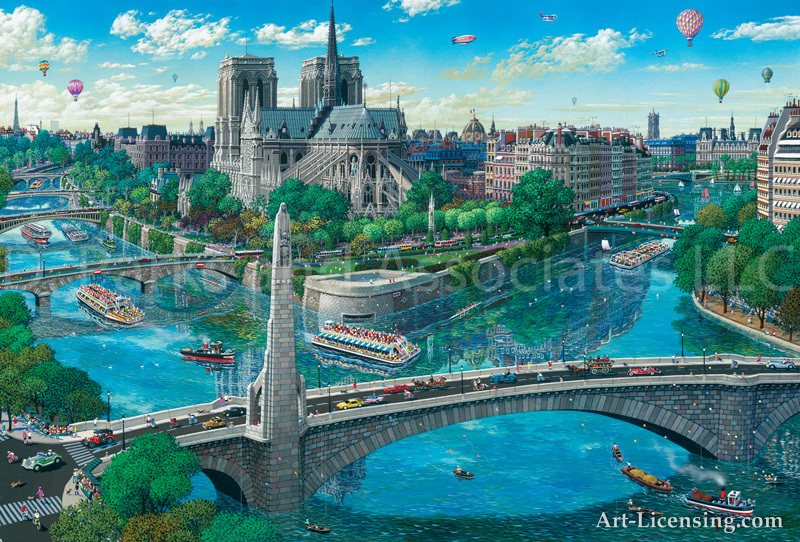 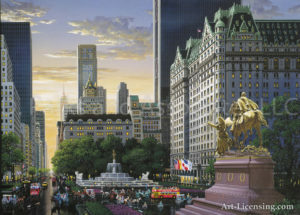 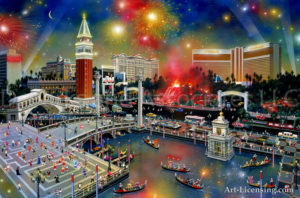 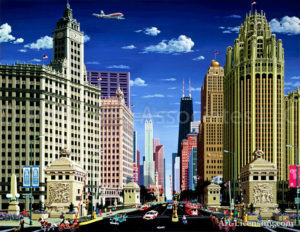 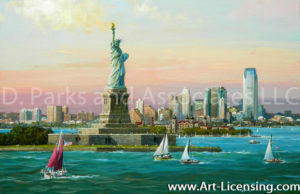 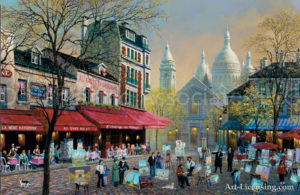 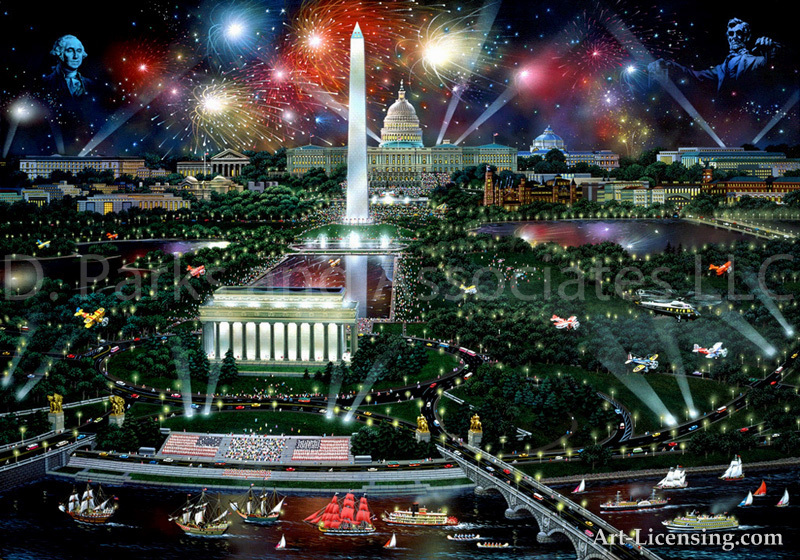 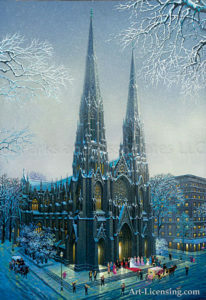 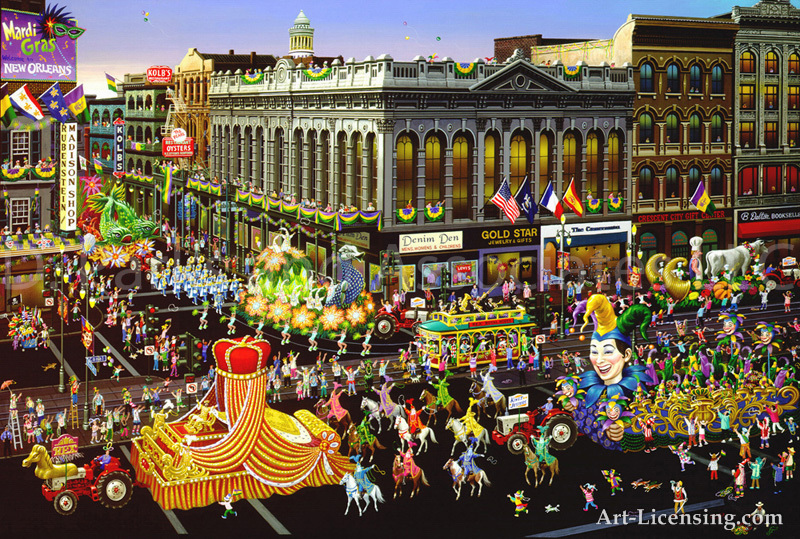 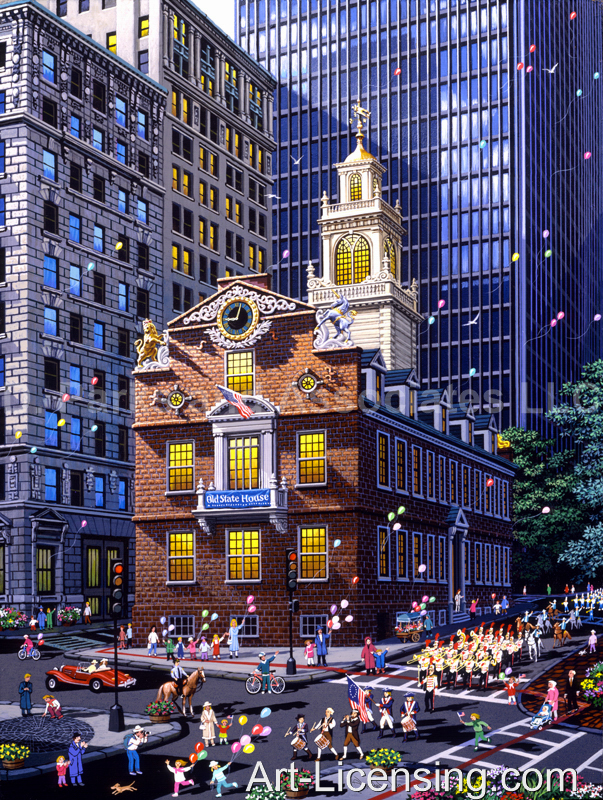 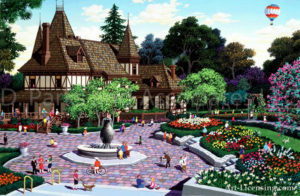 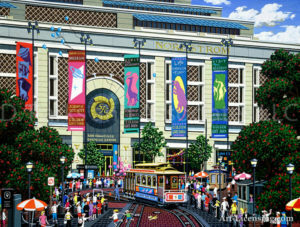 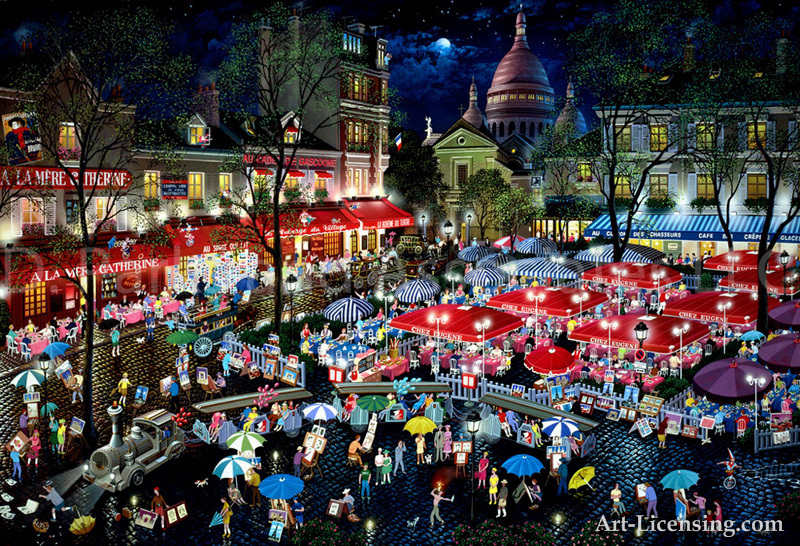 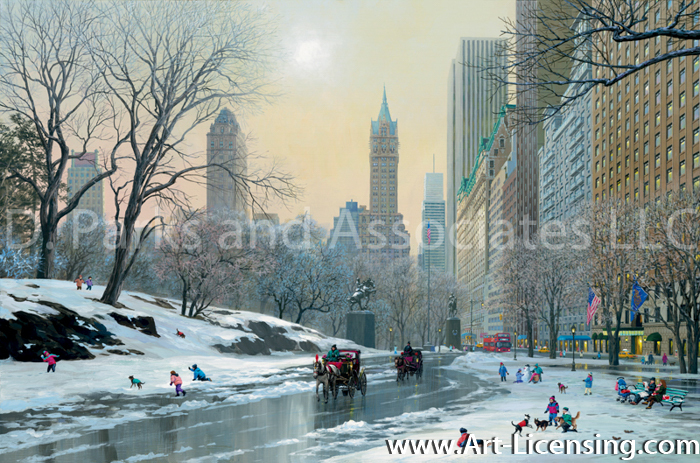 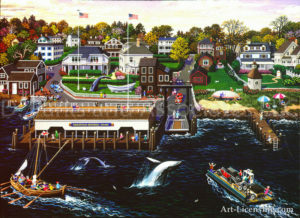 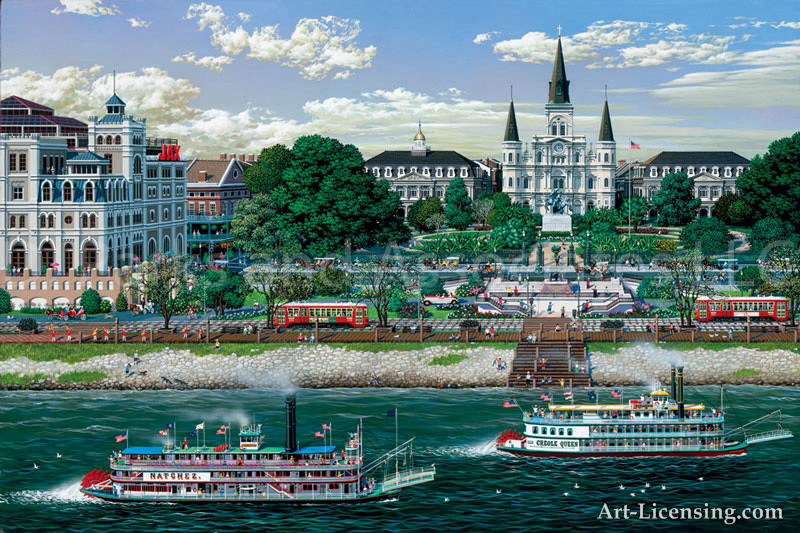 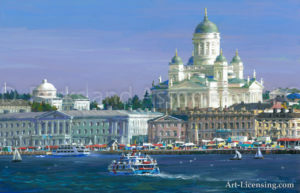 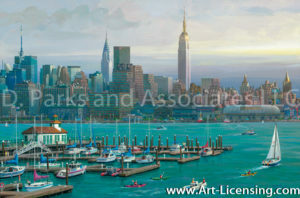 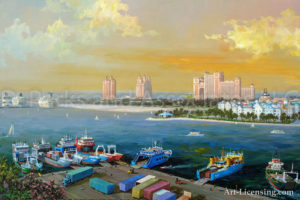 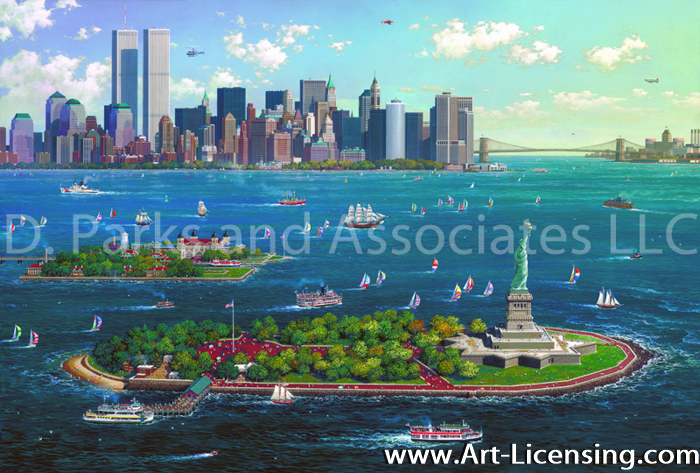 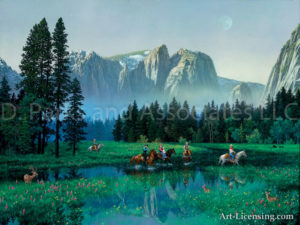 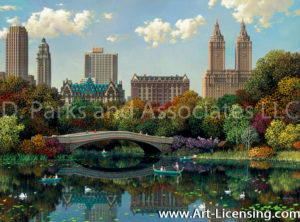 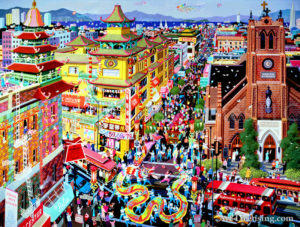 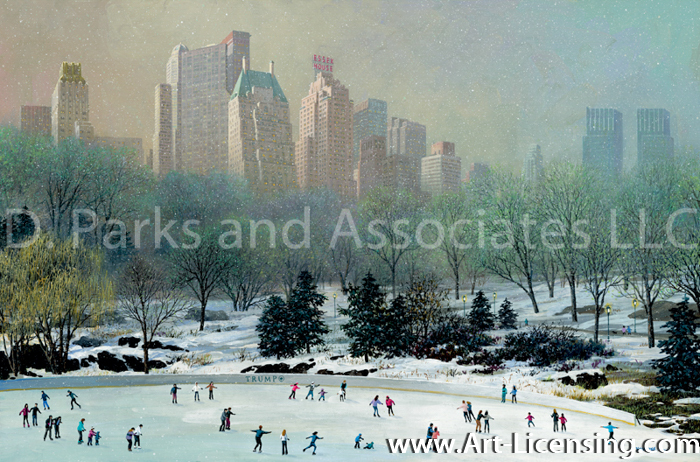 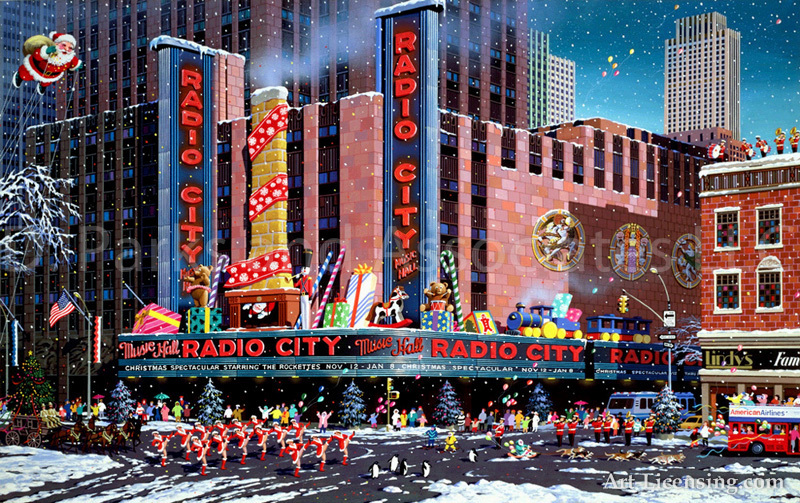 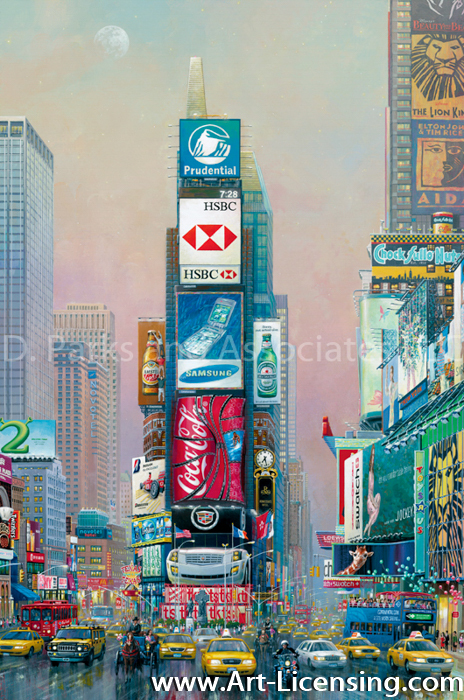 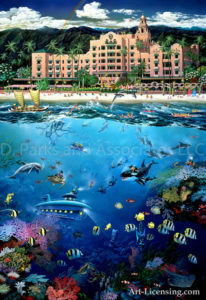 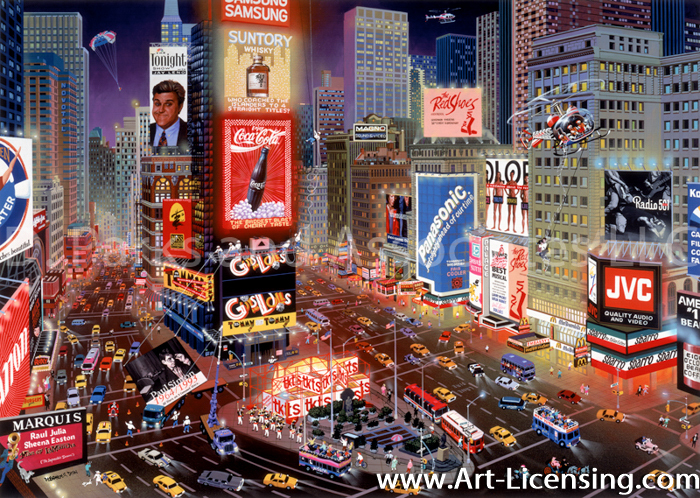 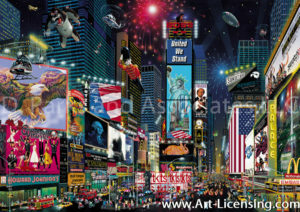 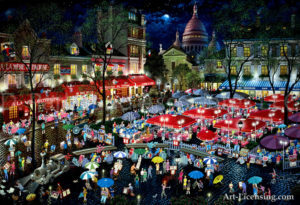 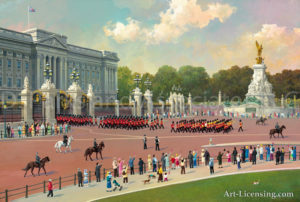 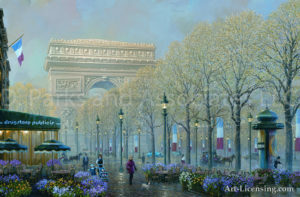 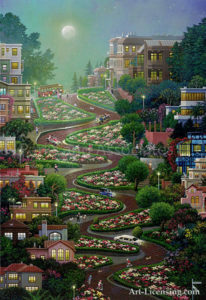 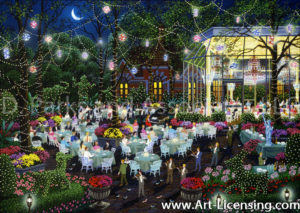 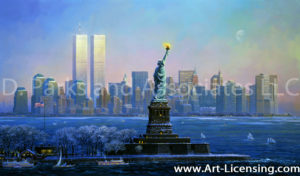 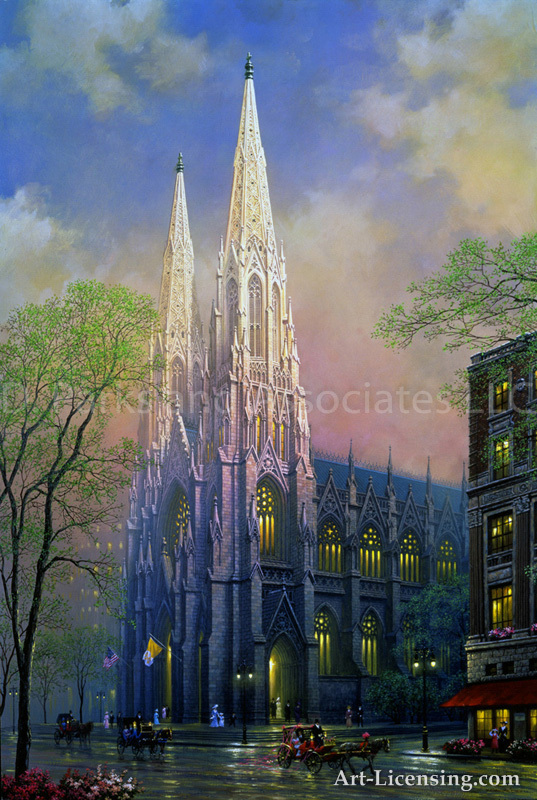 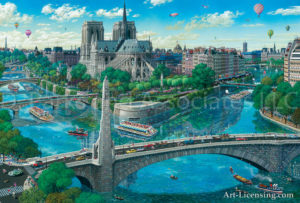 Much of Alexander Chen’s artwork has been licensed in the U.S., Japan, and Europe for use in corporate calendars, stationery, and jigsaw puzzles. 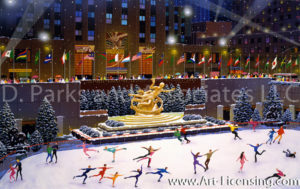 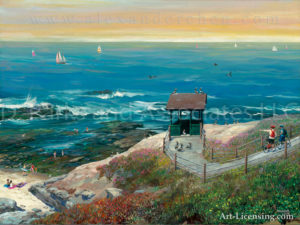 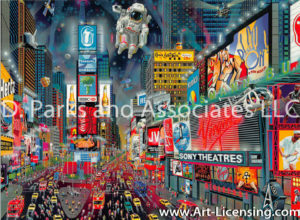 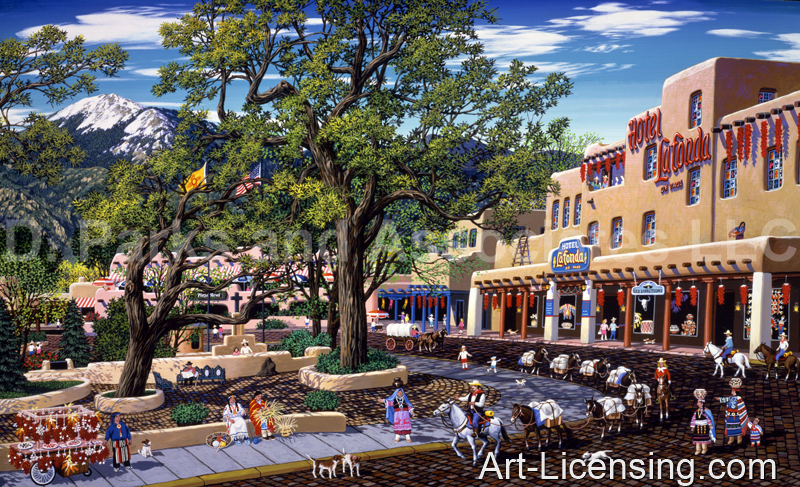 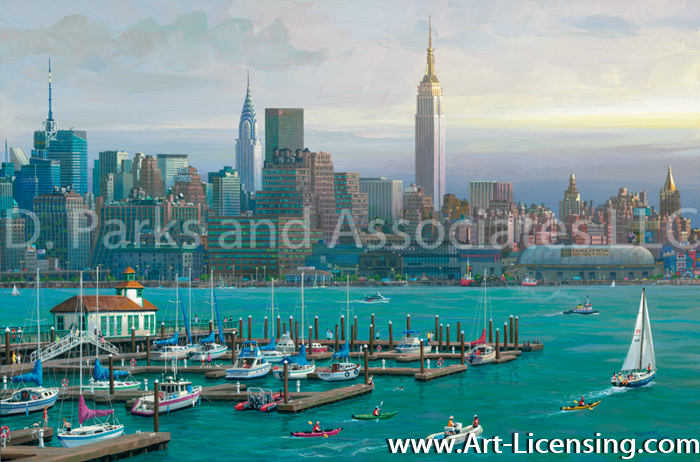 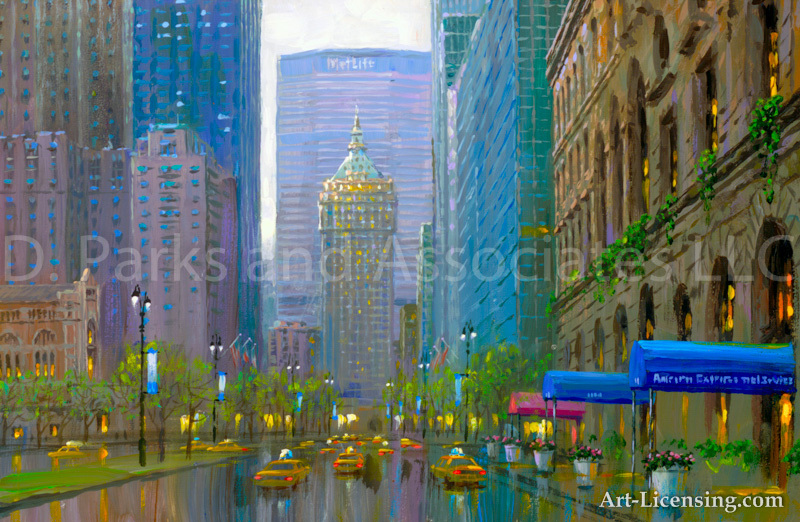 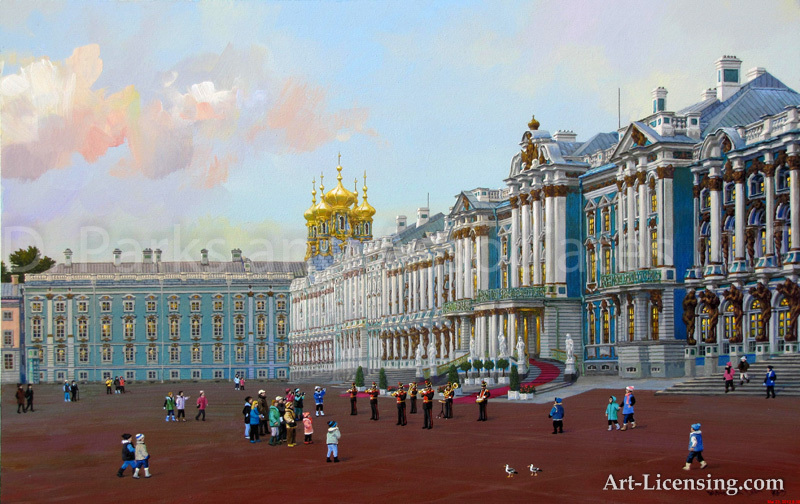 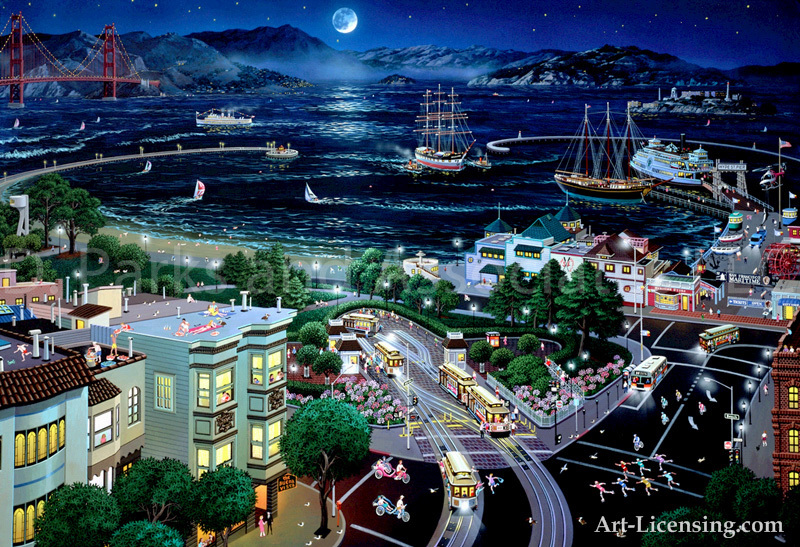 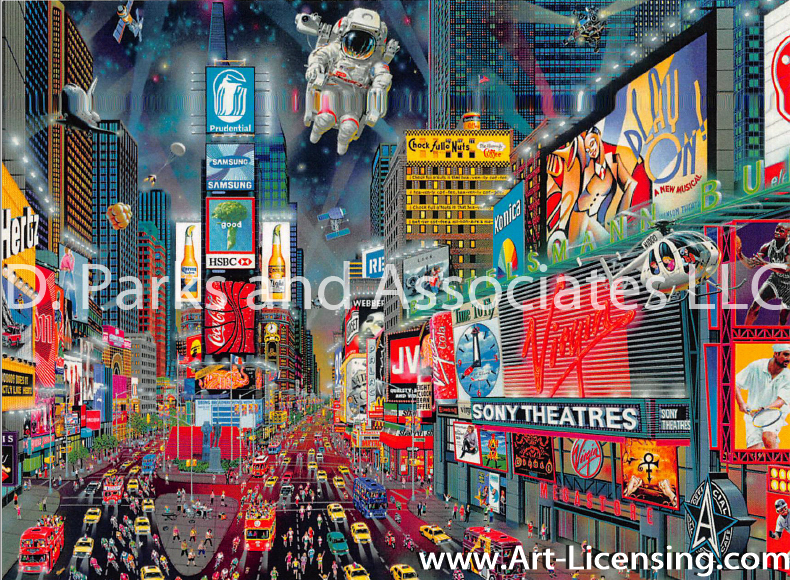 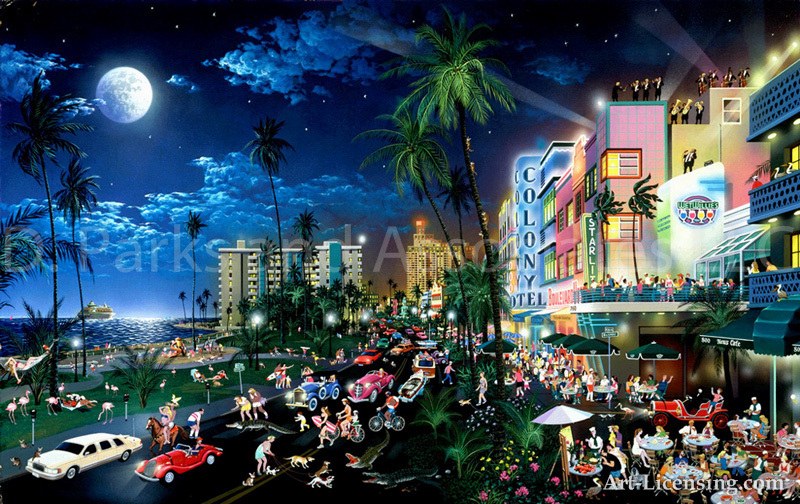 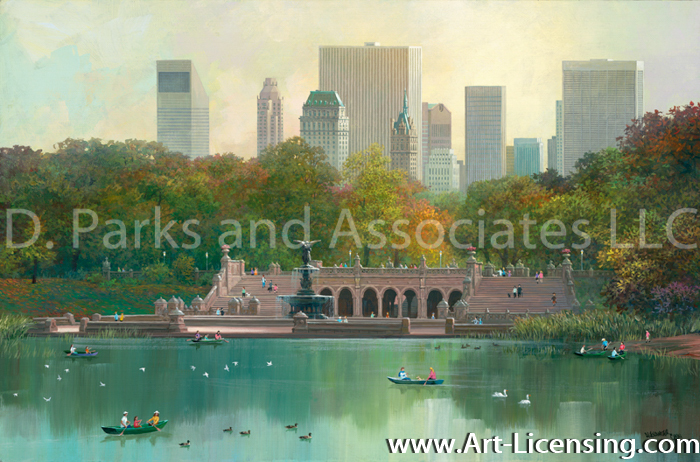 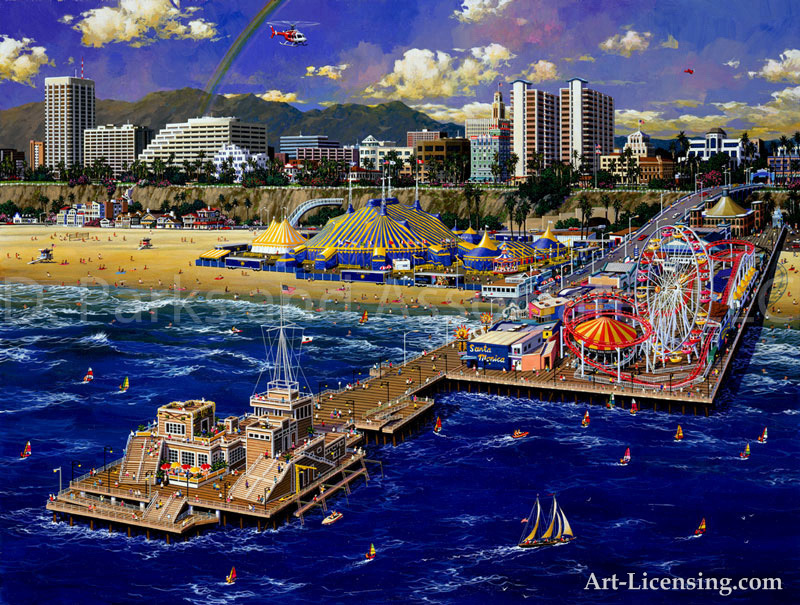 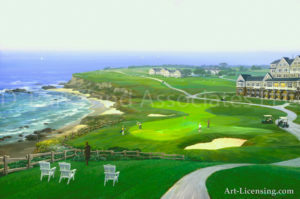 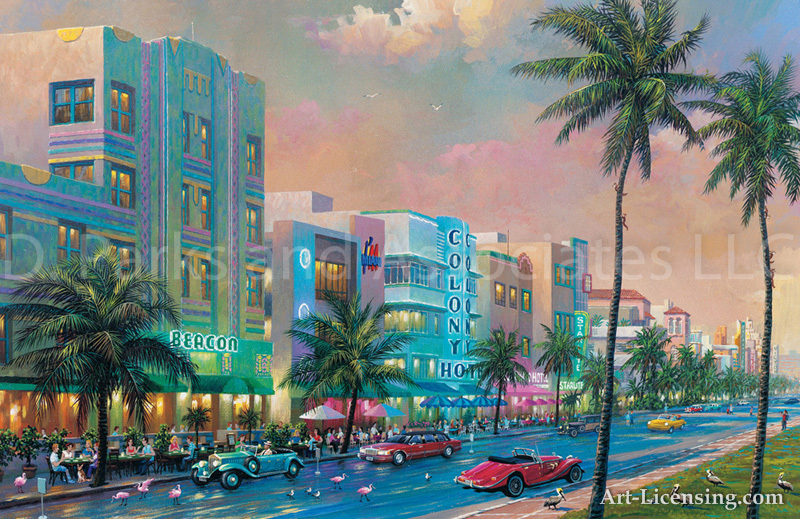 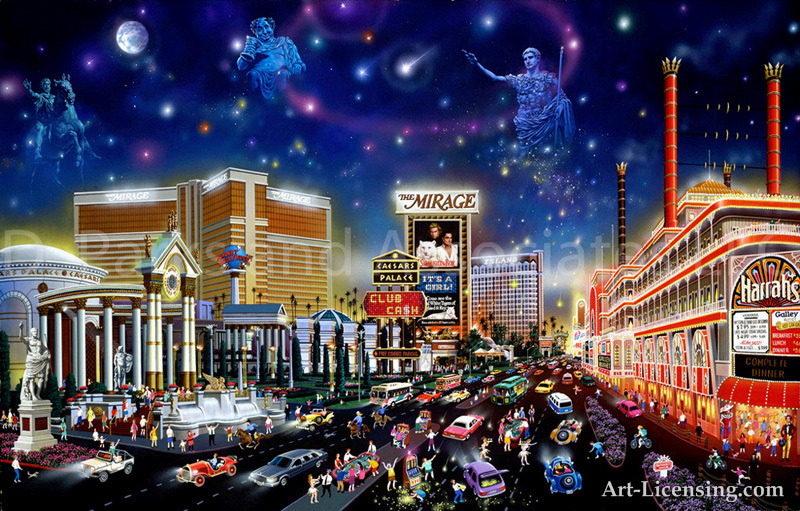 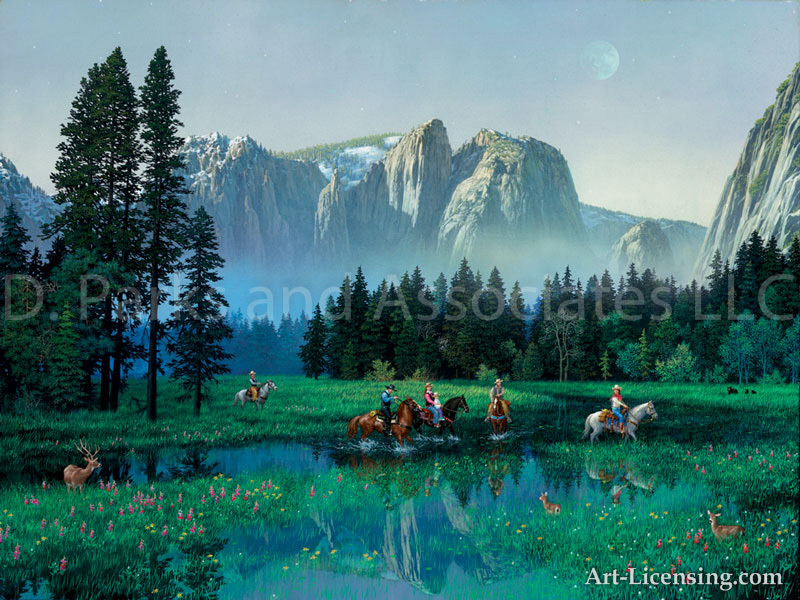 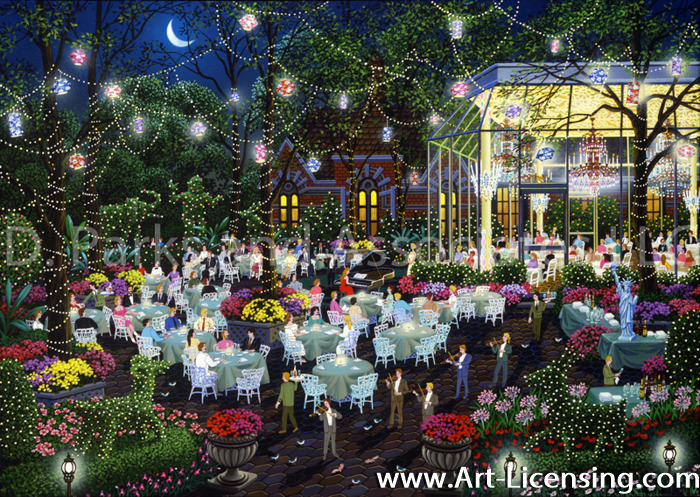 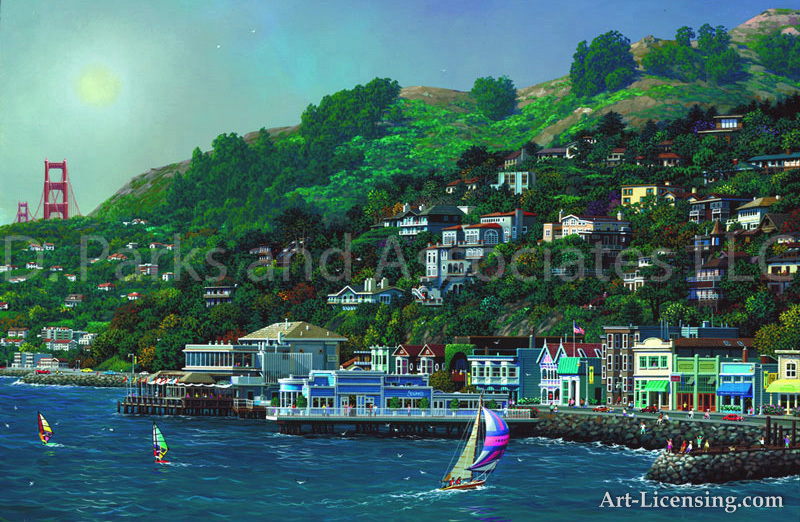 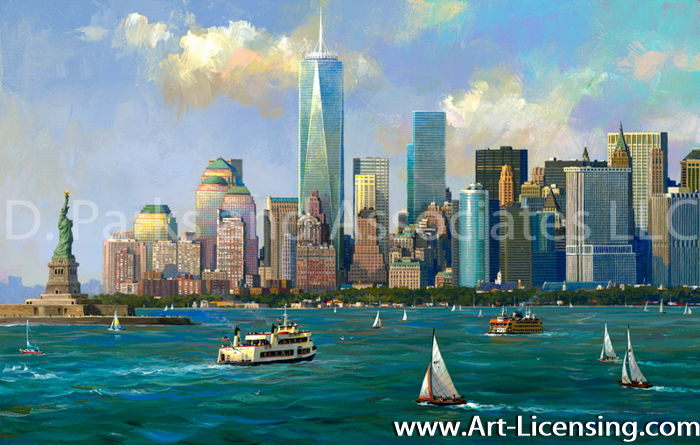 CLICK HERE to learn more about opportunities for licensing Alexander Chen’s artworks. 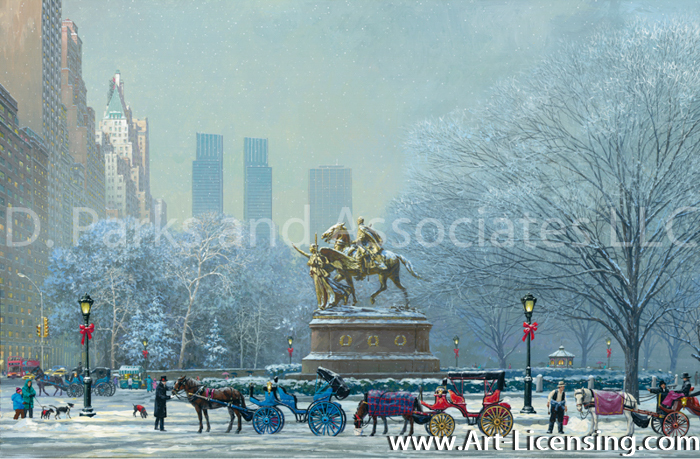 © 2019 Alexander Chen / Licensed by D. Parks and Associates LLC, ALL RIGHTS RESERVED.